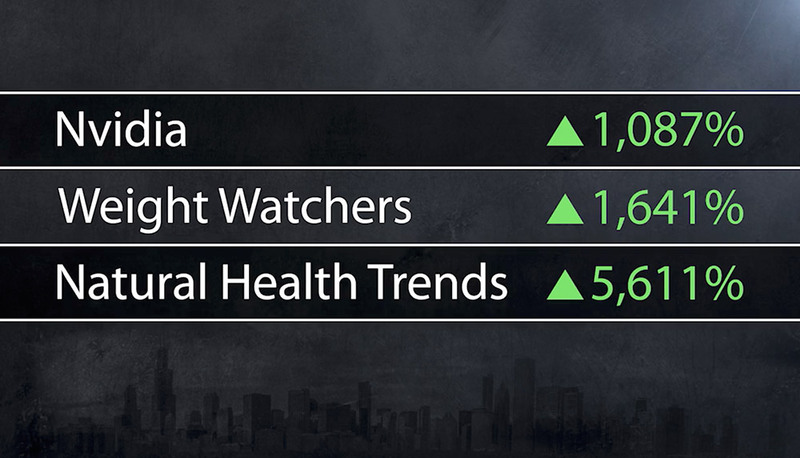 How following insiders could have led to exceptional gains of 1,087%, 1,641% and 5,611%. Hello, my name is John Wilkinson. And in just a moment, I’ll be joined by one of the most brilliant investors and devoted Main Street advocates I’ve ever met — Jeff Yastine. During the course of this landmark broadcast, Jeff is going to share the results of over five years of boots-on-the-ground research, including 25,000 hours of real-time market data, deciphering obscure government legislation and much more. To help you profit, legally, from insider trading. We’ll circle back to the exact details in a moment. But the core principle is simple: If you know how to track the publicly reported actions of insiders, you stand to make a fortune. 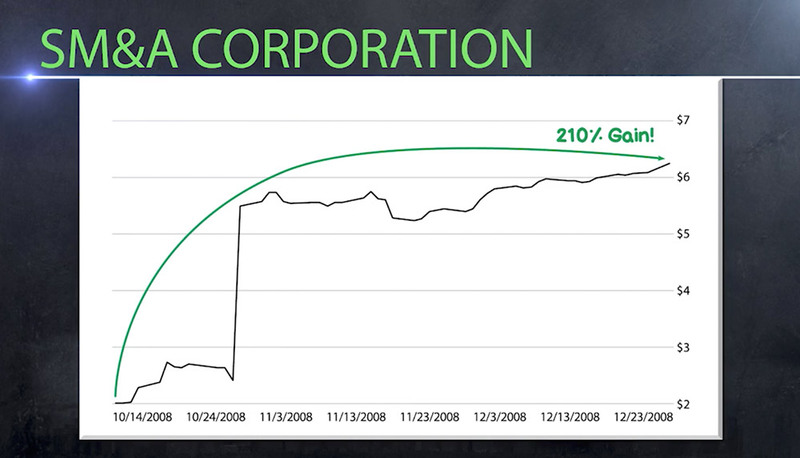 Like how following an executive at Nvidia, could have lead you to a gain of 1,087%. 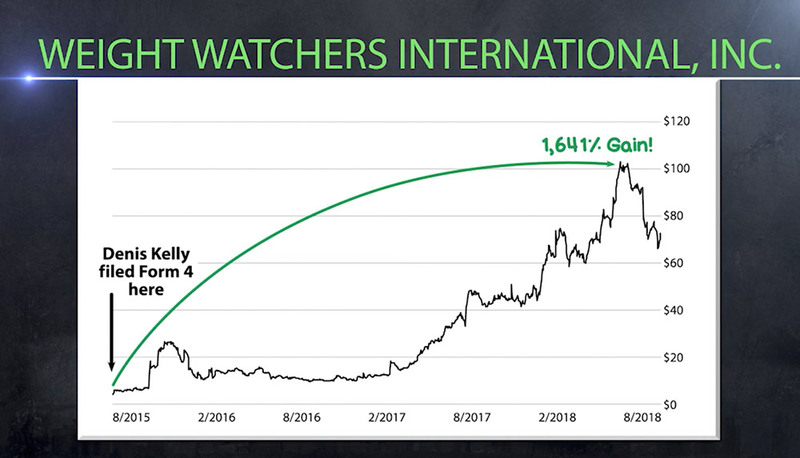 Or when one director at Weight Watchers, showed her hand, revealing to anyone who was paying attention that the stock was about to soar — and it sure did, rocketing 1,641%. 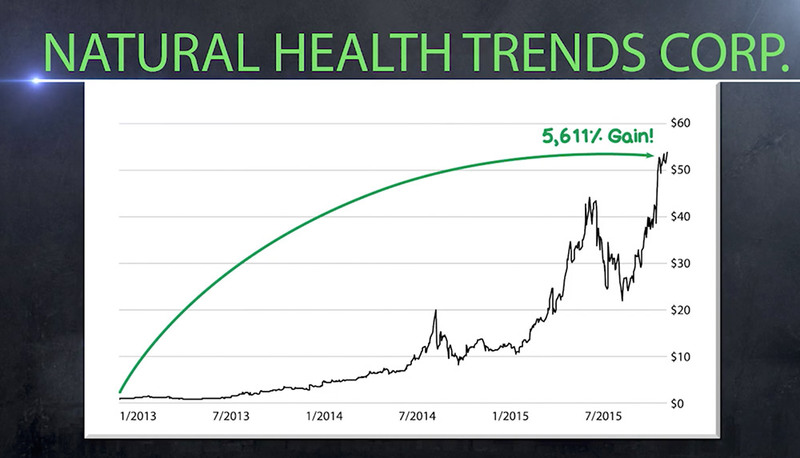 Or following a board member at Natural Health Trends, as the share price ultimately soared 5,611%. Anyone who was paying attention could have followed these insiders toward a windfall percentage in peak gains. Insiders made out like bandits on these trades. And anyone who followed their lead made fortunes. In fact, just $5,000 in each of these trades would have generated a total return of $431,950. Amazingly, this is just a small sample of what you could have cashed in on by following the actions of these Wall Street insiders. As Jeff will share during this event, there are dozens of these opportunities happening right under the nose of regular folks every month. Discrete movements that Wall Street’s elite are taking to the bank, leaving Main Street in the dust. In fact, as you’ll see in a moment, insiders generated over 100,000% in total winning gains within just a couple of years. These are opportunities most missed. But all of that changes today. 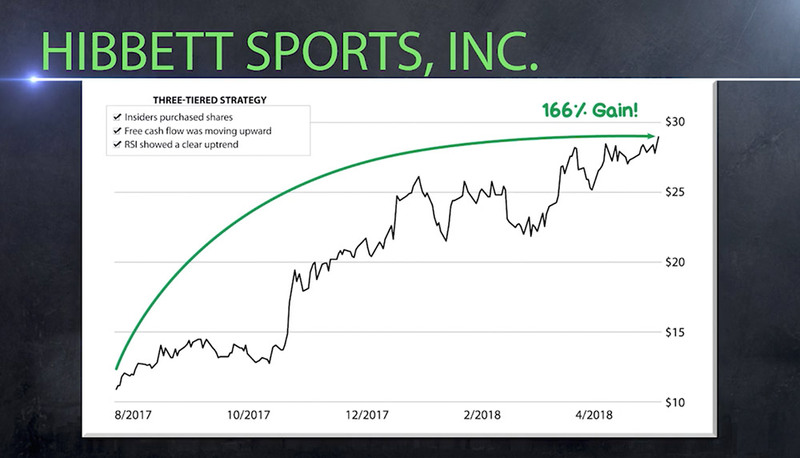 In the next few minutes, you’ll see how it’s possible to track these insider “movements” using Jeff’s propriety three-tiered strategy and how doing so could help you grab gains as high as 526% — in as little as six days. You’ll also get a complete breakdown of how to legally follow these insiders. We will start with two unique documents most folks have never heard of, and how decoding these documents can unlock some of the biggest windfalls of your investing career, at breakneck speed. To top it all off, you’ll see the evidence behind Jeff’s audacious promise. 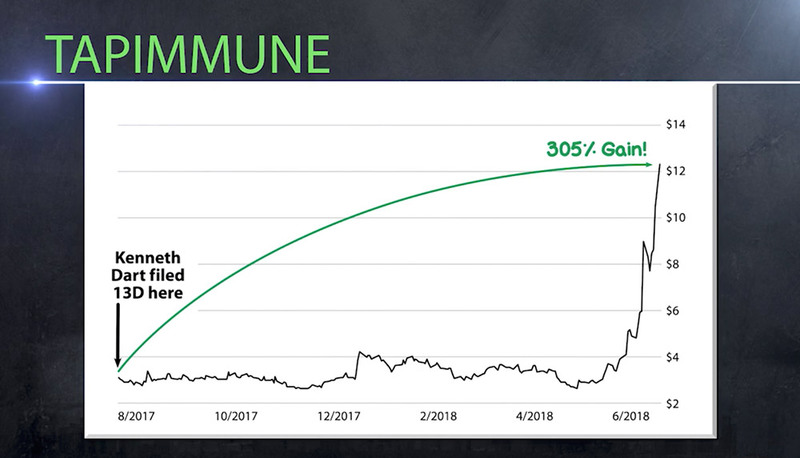 He vows that anyone who follows his 3-tiered strategy… is guaranteed the chance to see a triple digit gain every 90 days, for the next 12 months. 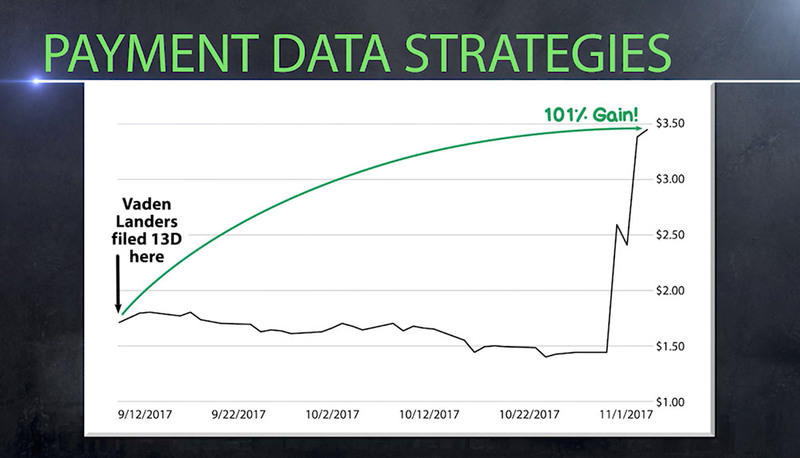 Let me repeat: According to Jeff, by using his strategy to follow the little-known moves of insiders, you could see a triple digit gain every 90 days over the next year. It’s astonishing, to say the least. And while nothing in the market is guaranteed… and there is always room for error… the potential of the strategy you’ll discover during this broadcast is truly massive. And 5,611% on Natural Health Trends. 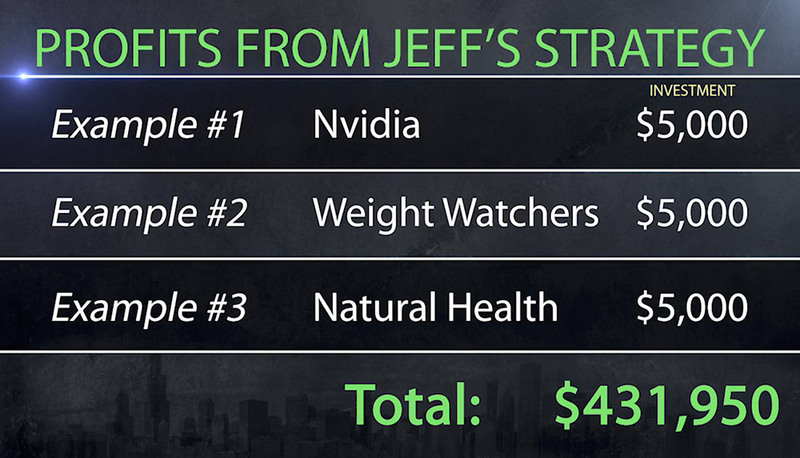 Thanks to Jeff’s proprietary three-tiered strategy, you have the chance to profit right along these insiders, reaping your own windfalls. 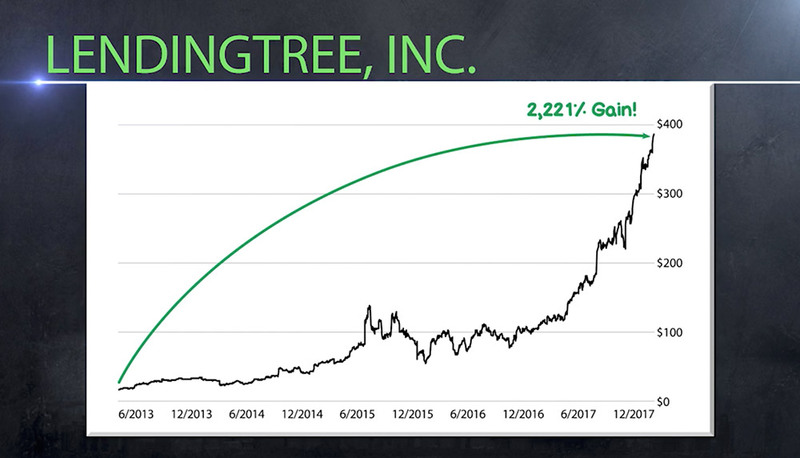 Just like when LendingTree’s founder, Douglas Lebda, saw his stake rocket up 2,221% earlier this year — Had he held, it would have catapulted his investment holdings to $842 million. Let me say that again — $842 million. And he’s only one example. When you consider this is happening over and over again, well, grabbing a triple digit gain every 90 days – at minimum - isn’t so shocking after all. Especially since Jeff’s three-tiered strategy has just alerted him to a new potential homerun. This is a trade Jeff expects to fire off a 1,500% gain within the next 12 months. He will be telling you how to get all the details on this trade today during this broadcast. And while 1,500% on his picks sounds outlandish, if there’s anyone who can make such a promise and mean it, it’s Jeff. As co-founder of one of America’s top investment research boutiques, Jeff and his colleagues, within this research firm, have helped thousands of folks over the last few years secure fortunes. And he is dedicated to showing hardworking Americans how to make hundreds of thousands and even millions of dollars. 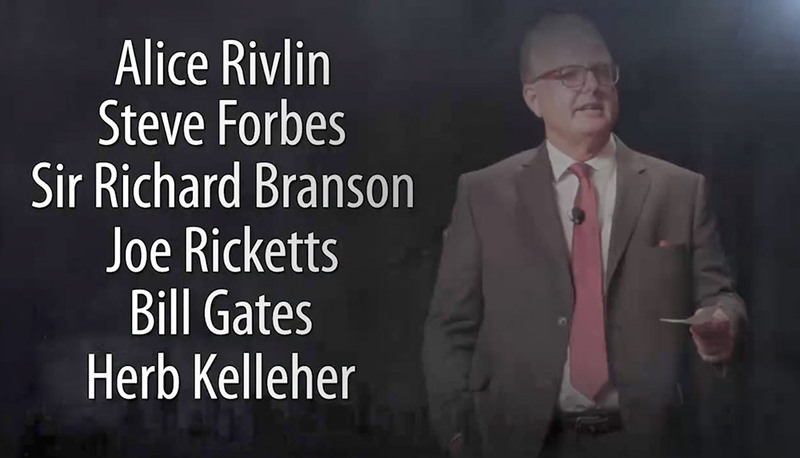 Sat down with major influencers like Steve Forbes, Sir Richard Branson, Joe Ricketts, Bill Gates, Herb Kelleher and many, many more. Point being, Jeff is a veteran of the financial world, rubbing shoulders with the mega money and major movers. He has seen how they operate from the inside out for almost 30 years. 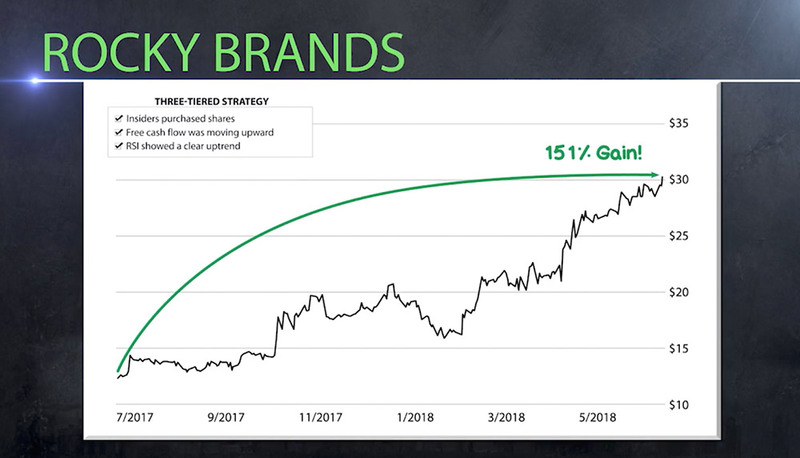 A strategy so effective, Jeff vows it is the best chance to add a triple digit gain to your portfolio every 90 days over the next year. 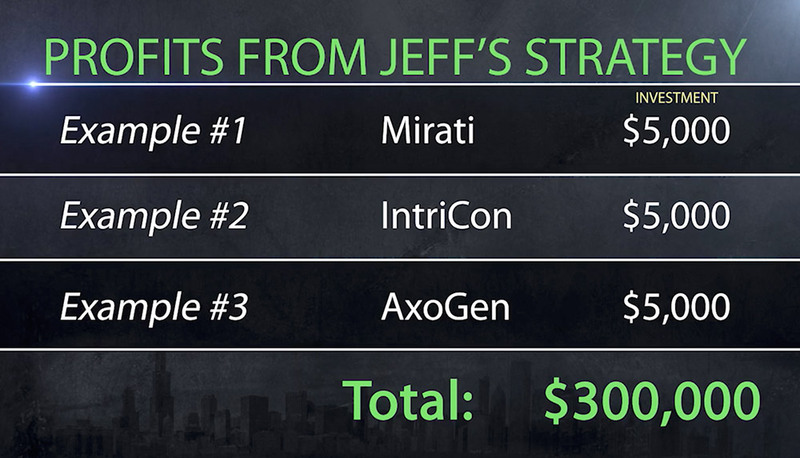 Jeff says his proprietary three-tiered strategy, specifically designed for this single purpose, can make these outrageous gains possible. 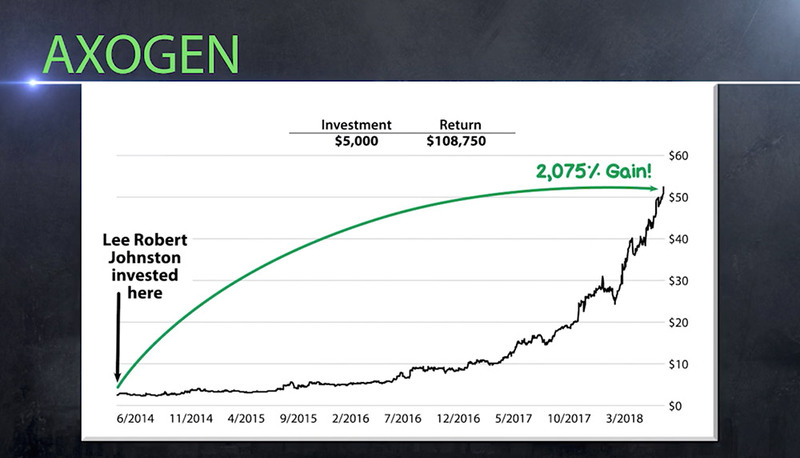 He has one specific stock that insiders are piling into right now — that could soar 1,500% to help you start this journey. But you will want to get in today! With all of that said, Jeff, welcome to the broadcast. It’s an honor to have you here. Jeff: The honor is all mine, John. Thank you for having me. John: I think I speak for all our viewers when I say I’m truly thrilled to see what you’ve prepared for us today. In all my years in the financial industry, I’ve never come across anything like what you’re promising here — a legal way to profit from insider trading. Jeff: Most of my colleagues thought I was insane when I started on this mission, John. Because when people hear “insider trading” they immediately think of sharing private information illegally. Jeff: Yes. And it gives us a way to track what insiders are doing and profit from following them, with some criteria I’ll get to shortly. But it starts with a few publicly available documents, though for the average person, these documents can seem like they’re written in another language. John: And you’re saying these documents and your “criteria” lead to this bulletproof way of profiting from legal insider trading? Jeff: John, I’m not saying every opportunity is a homerun. Following insiders doesn’t always lead to a 1,000%, 2,000% or 5000% gain. Sometimes they’re more humble and sometimes things don’t go exactly as planned. But the profit potential here is just too great, large and consistent to ignore. John: Can you give some examples? Jeff: Gladly. 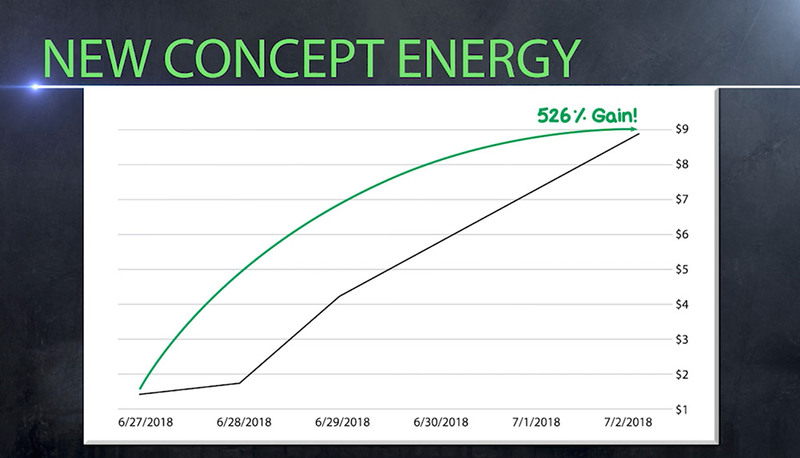 These are a few results of an extensive back test we conducted — filtering through nearly 25,000 hours of real time market data, insider activity and price fluctuation. Now, in my back test I’ve choosing some of my favorite examples here – to give you the best understanding of how this strategy works. 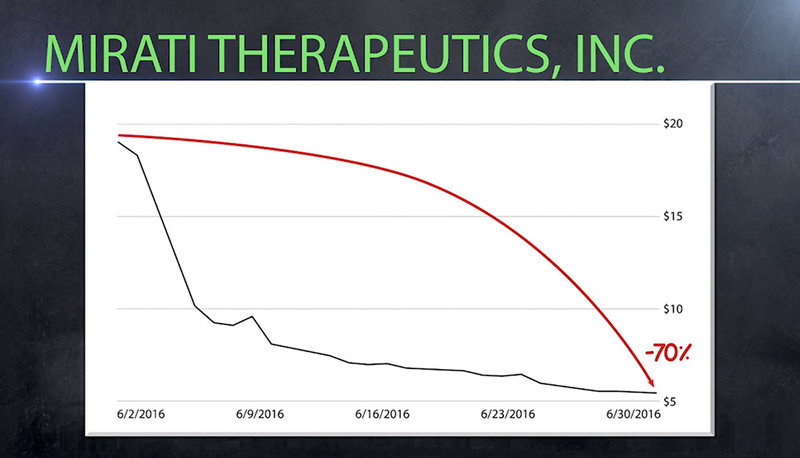 Take a look at this one— Mirati Therapeutics. The media was absolutely ripping Mirati apart due to the experimental nature of their cancer treating tech. Within the course of a single month, shares had been beaten down from $18 to $5.46 — a 70% drop, roughly. John: It looks like it was doomed. Jeff: But, Chief Executive Officer (CEO) Dr. Charles B. Baum started scooping up shares of his company’s stock based on his knowledge of the company. Look at this chart again. Folks who held would have seen an 810% gain at the top, as Mirati surged. John: That’s incredible. So you’re saying that thanks to your three-tiered strategy, our viewers will be able to follow insiders like Dr. Baum, so they too can get in early? Jeff: That’s exactly what I am saying and I’ll get into the details shortly. Understand that when an insider makes a move they are forced, by law, to publicly “show their hand.” If you know where to look and how to interpret these signs, it’s an absolute goldmine. Take a look at this next example, IntriCon. This company has been attempting to revolutionize the hearing-aid industry. As you can imagine, they have run into constant hurdles. In fact, they revealed in one of their Securities and Exchange Commission filings that sales had dropped 30%. Worse, one of their key partners, Health Innovation, essentially locked them into a deal. They couldn’t sell to any other company, nor was the company required to purchase any minimum number of hearing aids from them. John: That’s catastrophic for such a small industry. that their stock was flat as a board for years. Bottom line, most people would have written this company off as a go-nowhere stock. But Treasurer J. Scott Longval began buying up shares of his company, while alerting those on Wall Street — who knew where to look — that things were likely looking up. The result for anyone who was paying attention? John: And your three-tiered strategy would have picked up on these insider buys, so your team could be alerted to these purchases. Jeff: Yes. My back tests show we would have been able to spot them, meaning one would have had the chance of seeing every $5,000 invested swell into as much as $80,000. 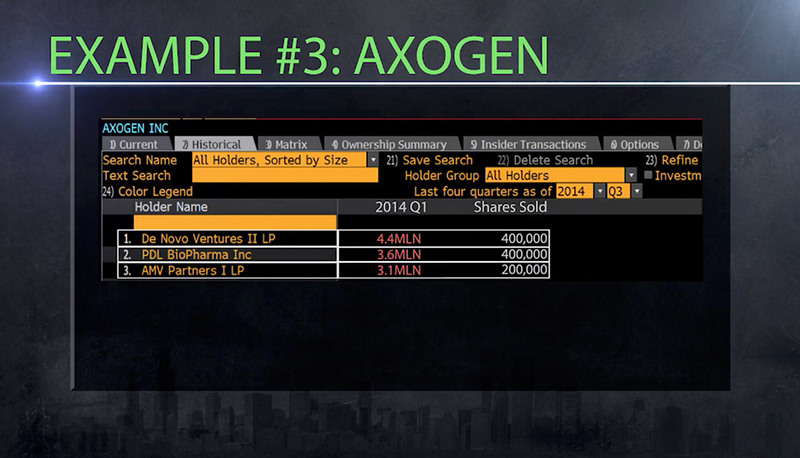 Let me give you another example: AxoGen. Institutions were absolutely ripping it apart — selling their holdings by the truckload. 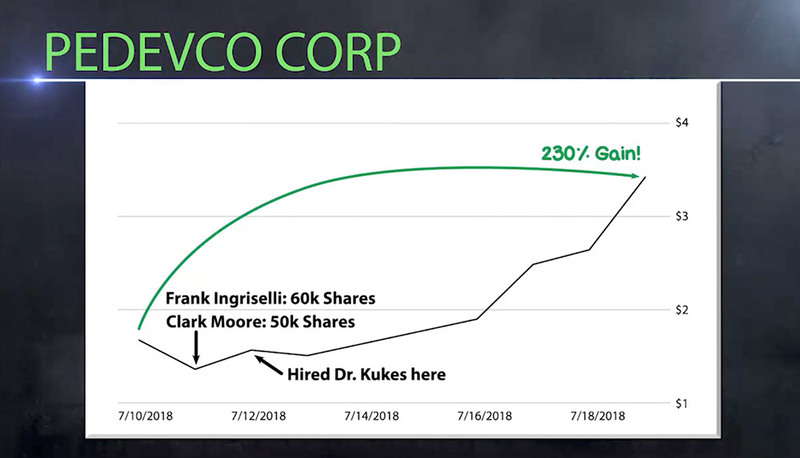 De Novo Ventures sold 400,000 shares. PDL BioPharma sold 400,000 shares. AMV Partners sold 200,000 shares. Jeff: And yet, the former Chief Financial Officer (CFO) of the company, Lee Robert Johnston, started loading up on shares. The stock soared and at its peak Mr. Johnston would have seen a gain of 2,075%. Anyone who followed his lead could have turned every $5,000 stake into $108,750. John: Jeff, what’s amazing is that each one of these investments was a contrarian play. It didn’t matter whether the stock was stagnant, in question or being crushed by Wall Street — they went up AFTER the insiders bought. So, each and every time the insiders knew better. They invested in their company’s stock and made kingly profits. Jeff: That’s partly true. It’s important to remember not every stock that has insider buying goes up, but it is a big piece of the puzzle. John: And thanks to your three-tiered strategy, we can hone in and find the ones with the highest probability of soaring, right? Just look at this chart I’ve prepared from the back test we held. It shows you just a quick sampling of the multiple insider profits taken over the last 12 months. John: So the blue line tracks the performance of the stock market. But these gains throughout are what you and your team would have been able to identify, according to your back tests. Now, again, the backtest focuses on some of the strongest outcomes – these are examples I want to show you so you can see the true, full potential of this strategy. 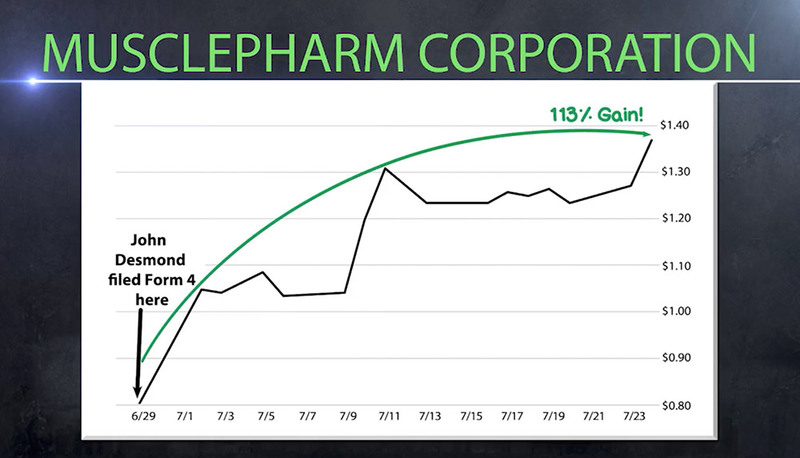 Jeff: That’s over 35 stocks that shot up over 100% just in the last year alone, releasing over 11,000% in total gains. John: And these are just stock trades. No options, no short selling, no speculative plays, correct? 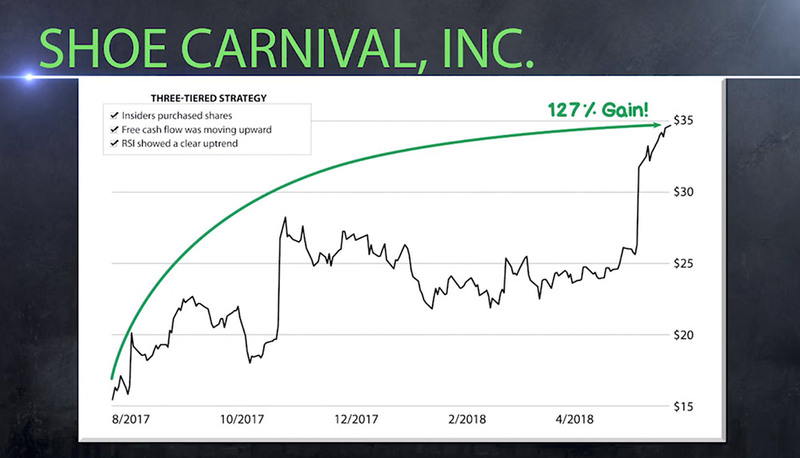 John: With gains like these piling up to 11,000%, it’s no wonder you believe anyone who implements this strategy— and legally follows these insider trades — will have the chance to see a triple-digit gain every 90 days. That’s a fraction of what happened last year. Jeff: And I’m willing to stand by that because the gains folks could see are consistent. 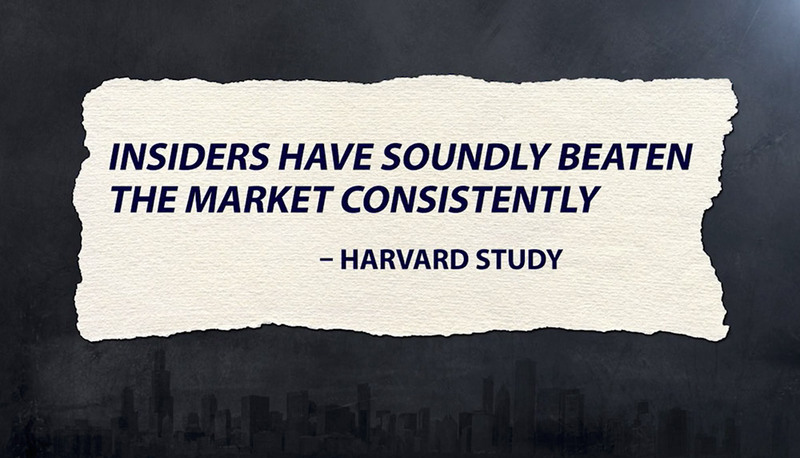 According to one study by Harvard, insiders have soundly beaten the market consistently. John: And these are company executives, who are merely taking action on the open knowledge of their own companies and making additional millions in profits. And it’s important to remember these insiders, John, are limited by one crucial factor. Jeff: When it comes to insider trading, their knowledge is limited to what’s happening at their own company. They don’t have an “edge” anywhere else. Which makes my three-tiered strategy, what I’m sharing with our viewers today, so vastly different and so much more powerful. While insiders are limited to their own company, my strategy allows us to pinpoint insider activity in 3,600 publicly listed U.S. companies. More importantly, we can pinpoint the actions they’re taking by leveraging the power of my proprietary three-tiered strategy. John: When you have this many insiders to follow, it’s truly like writing your own ticket. Jeff: “Writing your own ticket” is a great way to put it. Now I don’t want to mislead folks, there are always risks when it comes to investing. But when the right tools are at your side, you increase the chances of seeing massive windfalls. And when those windfalls are as big as we expect these to be… even a few less than stellar investments are washed away by the sheer size of the potential profits. Here is another example — Pedevco, an oil company out of Danville, California. On July 11, 2018, backtests showed my three-tiered strategy would have detected two officers were buying shares of their own company, with both hands. 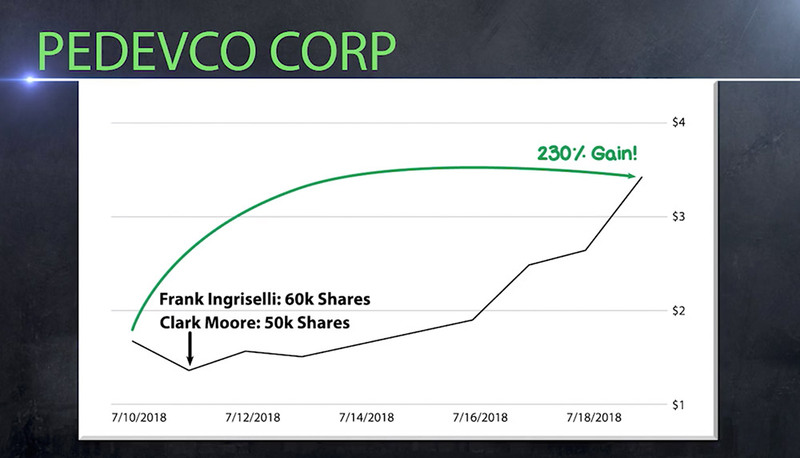 Frank Ingriselli, the president of the company, bought 60,000 shares. 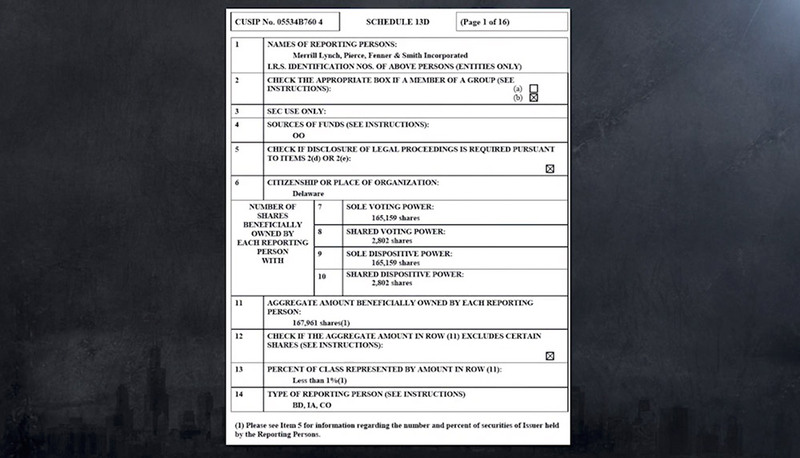 Executive Vice President Clark Moore bought 50,000 shares. Within five days, the stock was up 230%. John: It looks like the stock shot up the very next day. Did they know it was going to happen? Jeff: I can’t say for sure. But I can say they seemed pretty confident, and it worked out well for them. The day after they bought shares, the company’s entire executive body was practically reshuffled. This is one of those elements that can absolutely transform a company — particularly one as small as Pedevco valued at $30 million. In short, they brought in a man by the name of Dr. Simon Kukes. Kukes brokered billion-dollar deals for Hess Corporation, BP, AMOCO and countless other oil giants. His accomplishments earned him top level nominations as a leading executive from both The Wall Street Journal and The Financial Times. So we’re talking about a major power-player in the petroleum industry. Jeff: And the stock soared. The move to hire Kukes gave investors a high degree of confidence . Every time this man has stepped in, a larger, more powerful billion-dollar oil company has gotten involved. It certainly would have worked out well for Mr Ingriselli and Mr Moore. Of course, the legal insider trading is just the beginning. I’ll dig deeper into the exact process that would have revealed Pedevco as a buy, when we dive into my three-tiered strategy. But before I do, here are a few more examples worth mentioning. This company is called CLST Holdings. Within six days, the stock rocketed 230%. Insiders moved on this one quickly as well, and the stock jumped 364% in a little over a year. Or look at FTE Networks. If you had known where to look, insiders were clearly giving away a massive signal, and the result was a 151% gain in 18 days. 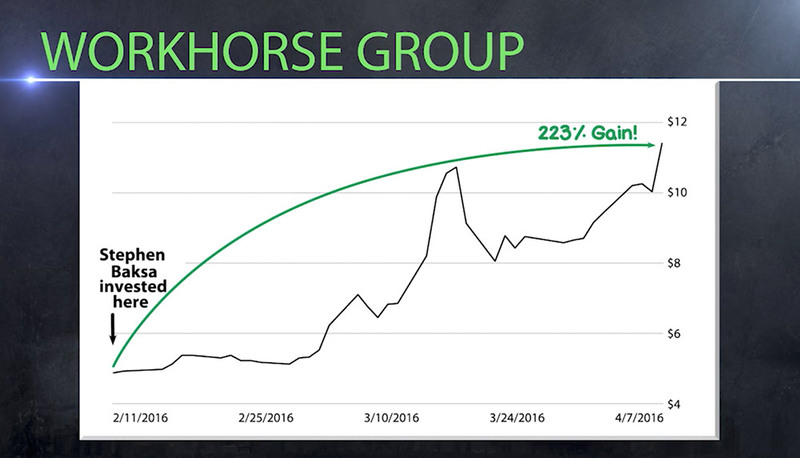 It happened with Workhorse Group as well, when Director Stephen Baksa bought 25,000 shares of his company. Forty-two days later, the stock was up 223%. John: So these opportunities are happening constantly, all around us and all we need to know is how to spot them. Jeff: It’s really amazing, because these insiders are just operating at a level so far beyond what we’re used to and making extraordinary profits in the process. John: So all four of the opportunities you just mentioned and the three I mentioned earlier — yielding a total return of $43,950 — were all thanks to your ability to legally track insider trading? John: Jeff, one question has to be answered — how? How is it possible that you can legally follow these insiders? Jeff: It all begins with this little-known document. Take a look. John: Now this is something I haven’t seen before. What exactly am I looking at? Jeff: It’s called a Form 4. You see, after the crash of 1929 the U.S. government realized they had problems — stock manipulation and insider trading. So they established the SEC and appointed Joseph P. Kennedy Sr. as its first chairman. John: Didn’t Kennedy, himself, profit wildly from insider trading only years before? Jeff: Indeed. As they say it takes a crook to catch a crook. So in 1934, immediately upon appointment, Kennedy helped pen the Securities Exchange Act of 1934. Within this act is the key to the financial kingdom for a Wall Street investor. It completely shifted power back to main street Americans, allowing us to legally access what was once the most privileged piece of information — insider trading. It states that when a C-level executive — CEO, CFO or chief operating officer (COO) — any board member of a company or a 10% owner, wants to buy shares of his or her company’s stock, they can do so legally, as long as they fill out the Form 4, within two days after making the trade. John: So according to this, within 48 hours of making a purchase, insiders must file this form and disclose their activity. Jeff: Or face the full wrath of the SEC — one of the most powerful government institutions to date. Jeff: Exactly. 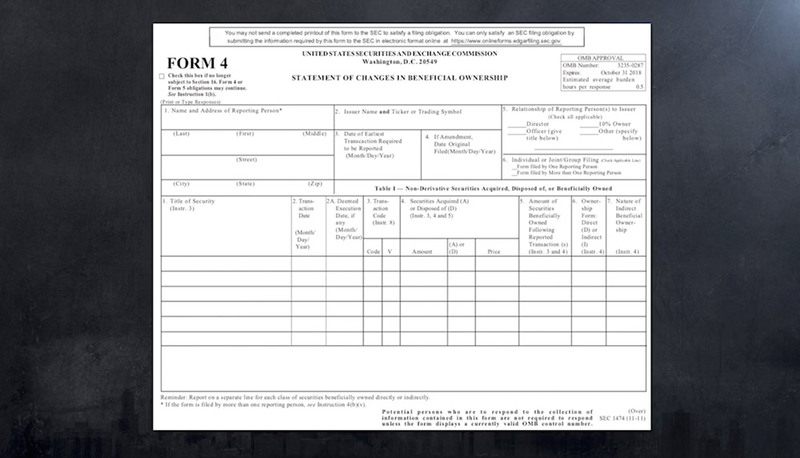 Now these forms don’t always become public immediately after filing, but once they do you need to act as fast as possible. Unfortunately, for the longest time, it was really hard to get this data. Even though it was public, you’d have to spend hours going through these documents. Now, thanks to modern technology, we can see exactly what’s going on once the forms have gone public. Which is why I currently have a series of “tripwires” that can alert us to large and “abrupt” movement in insider ownership. It alerts us if multiple insiders make purchases at the same time. It alerts us if someone abruptly buys 5% of a company. And it alerts us if an insider suddenly puts hundreds of thousands into a stock. We pay upwards of $50,000 a year for some of this software. And it’s all worth it. John: So if insiders make a move, your team would be able to pinpoint it right as it becomes public, giving your readers the chance to buy shares of the stock right behind the insiders? 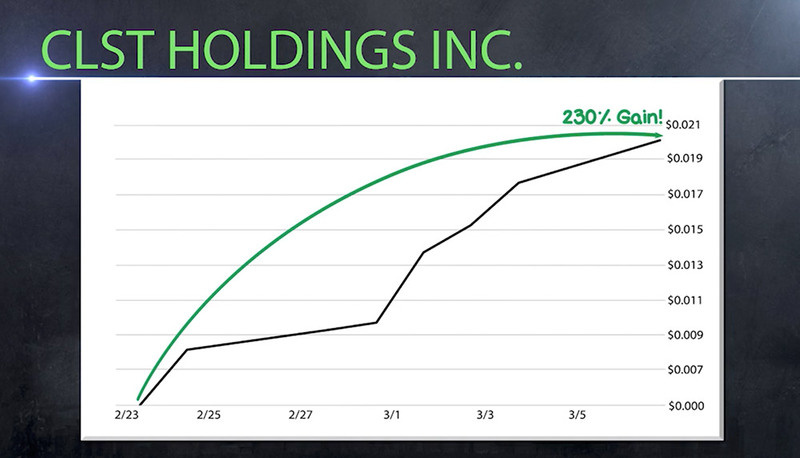 On March 29, Mitchell Quain, a director at Xerium Technologies, filed a Form 4 — receiving 22,765 shares. That type of move definitely leaps up on our radar. In fact, our back tests show this is the trigger that would have led us into Xerium. Then, the stock started surging. It went 218% higher in just three months. The same thing happened with MusclePharm. Director John Desmond filed a Form 4 on July 29. In one fell swoop, he acquired 150,000 shares. Our back tests show this company would have pinged on our radar. Twenty-five days later, shares had shot up 113%. And the same thing happened with Turtle Beach when Director William Keitel sent his Form 4 in on April 11. In one move, he increased his ownership to over $190,000 worth of shares. We would have been alerted. 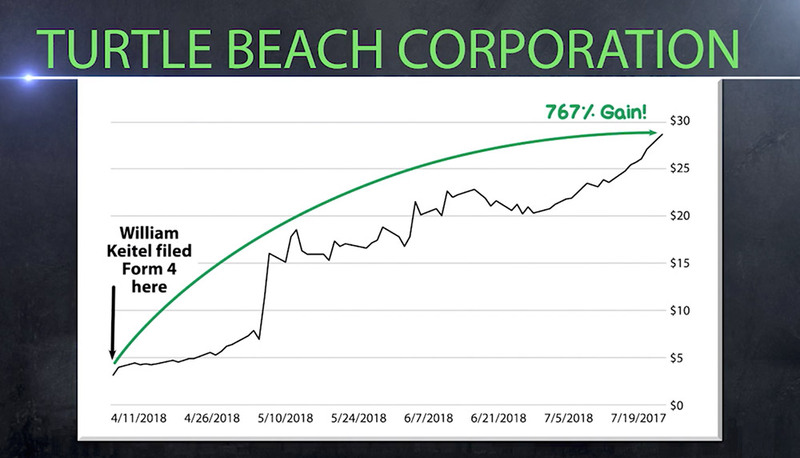 By July 24, just 10 days later, those shares were up 767%. John: These are incredible. So they buy shares, file the Form 4 and then rake in the profits. Jeff: The Form 4 is one of the crucial foundations this entire strategy is built on, because it’s a clear indicator of insider activity. Take a look at the ones you mentioned right at the start of this presentation — Nvidia, Weight Watchers and Natural Health Trends. Ajay Puri, the Nvidia executive vice president of worldwide operations, bought shares on June 15, 2015. The stock began an explosive upward movement that took it 10 times higher. How about Weight Watchers. There, Director Denis Kelly made a big purchase right at the bottom in August of 2015, after the company’s stock had taken a beating. But at that exact moment, the stock began picking up. And today, that stake is up 1,641% in just a few short years. 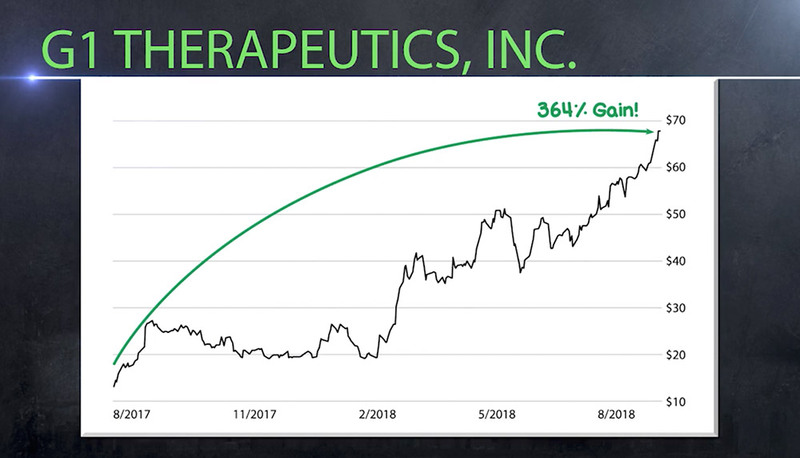 George Broady, a board member at Natural Health Trends, made a $2.1 million investment in his company’s stock at its bottom. 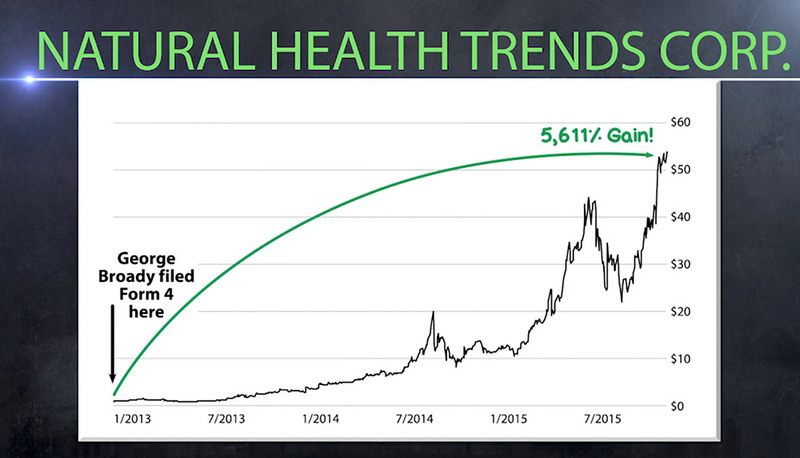 You can see what happened next — the price soared 5,611%. You can see where these folks bought their shares near an exact bottom and had the chance to make huge gains. As we said earlier, just $5,000 into each of these plays would have yielded a total return of $431,950. Now, past performance doesn’t necessarily guarantee future results, but the potential here is clear. 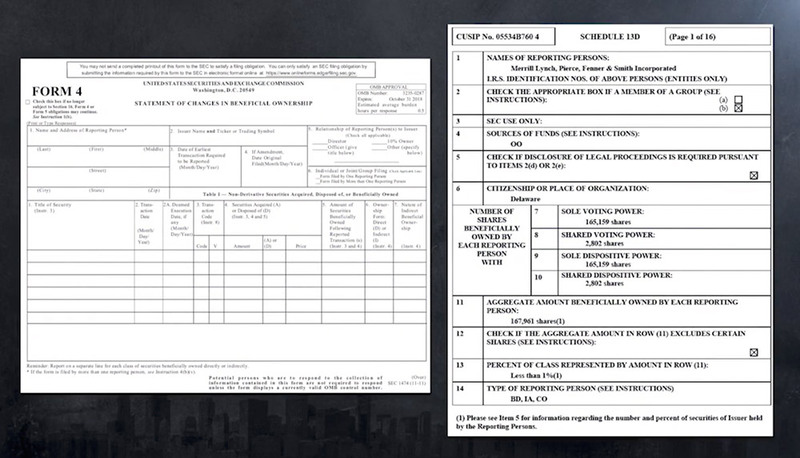 John: As easy as this seems, Jeff, when I look at this Form 4 it’s hard for me to understand what any of it means. Jeff: Don’t worry. Most people can’t read it. They have no idea what any of this means. But the research firm I helped found can. Outside of my dedicated team of analysts, I can even discuss ideas with my colleagues – two of whom are Chartered Market Technicians with over 60 years of combined trading experience. Jeff: The Form 4 is not the only form we use. We also have what’s called Schedule 13D, and some of the gains you can pin down by tracking this are truly breathtaking. It looks like this. John: Okay. So, what’s the difference between Form 4 and Schedule 13D? Jeff: Form 4 shows us when an insider is buying shares. Schedule 13D has to be filed by a person or group when they purchase more than 5% of a company’s shares. John: So, it’s not just limited to insiders. It’s when anyone is buying 5% of a company’s shares, which often times means an investment of tens of millions if not billions of dollars. And it generally leads to some of the fastest homeruns I’ve ever seen. For example, our back test uncovered on September 12, 2017, Vaden Landers filed a Schedule 13D for Payment Data Strategies. His stake jumped to over 12% of the company. Within a few months the stock shot up 101%. Kenneth B. Dart filed a Schedule 13D when he acquired 33% of TapImmune. The stock shot up 305%. 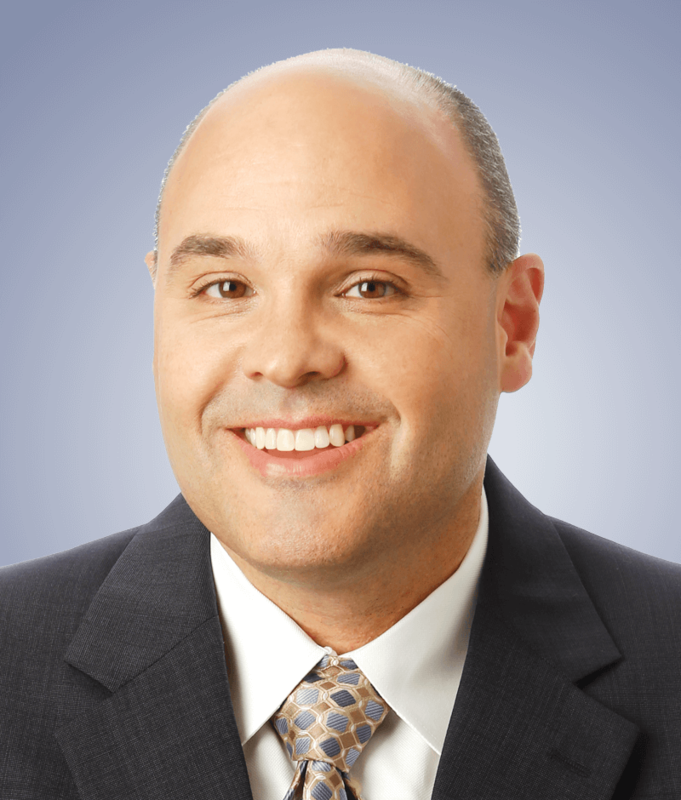 On June 27 Stephen Metzger filed a Schedule13D after buying up shares of New Concept Energy. Six days later, shares were up 526%. That’s like starting with $5,000 on a Monday and waking up with $31,000 on Friday. 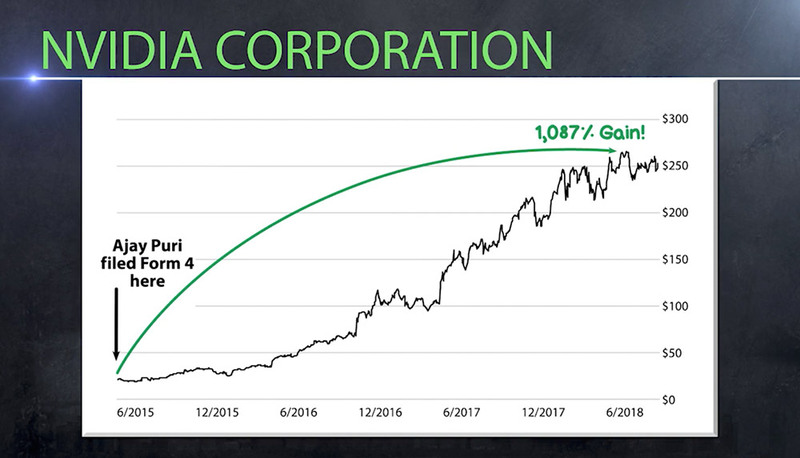 John: So your point is, just like insider buying is a huge sign of a stock’s move, big purchases of 5% or more is a massive indicator as well. Jeff: And as you can see, there are no shortage of stocks tripling or quadrupling in short order. It’s why, for me, promising the chance at finding a triple digit gain every 90 days over the next year comes as no question. It’s practically baked into the cake when you follow the exact strategy. My point is, John, if you know how to read a Form 4 and a Schedule 13D — if you can decode these documents — you can set yourself up for massive potential gains. But there’s one problem. Jeff: With over 3,600 companies out there, there are anywhere from 30 to 100 of these forms filed every day. It takes a team of people to decipher these insider actions to find the ones that will soar the fastest. John: I’m guessing that’s why you have exactly that — a team of analysts on your staff. You could even sit down with a few of your colleagues who are CMTs. Jeff: It is. 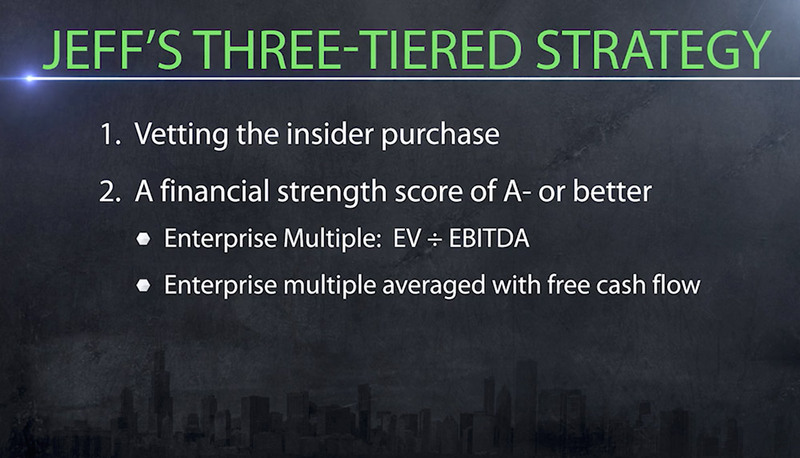 Together, we created a proprietary three-tiered strategy to sort through the data and find the best stocks. John: Can you share this strategy with us? Jeff: I’d be happy to. Tier one is vetting the insider purchase. There are a few things we look at for this. First, did the investor use their own money for the purchase? For example, an insider often makes a large purchase because he or she is granted a bonus. John: These guys are often given stock as a perk, like options and such. Jeff: Exactly. We want to ignore those kinds of purchases. We can sift those out based on the codes they enter. We only want to focus on a purchase made with their own money. If the insiders are buying their stock the same way you or I buy shares, THEN it passes muster. That means they have a strong conviction that the stock will go up. The other thing we look for is clusters. Let’s say three to five insiders are making purchases around the same time. That’s a big time indicator. And the last thing we look for is BIG purchases. If an insider is dumping a few grand into a stock, then it’s not a big deal. But hundreds of thousands, or millions, then it’s a massive buying signal. John: This makes perfect sense. So you look for insiders using their own money, buying in clusters and big purchases. This first tier alone seems to be a lot of work. Jeff: It is. But, we only like to invest in stocks that have the potential to go up 100%, 500% and even 1,000%. We want big moves so we can make big profits. 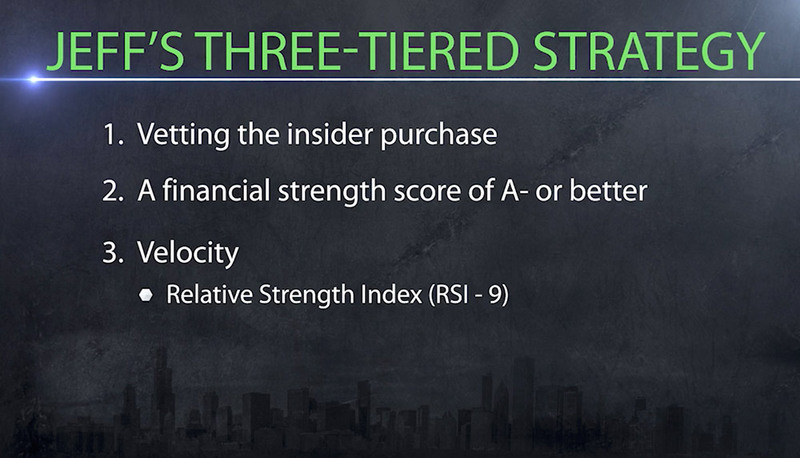 Jeff: Tier two is a financial strength score of an A- or better. There are two factors that determine this. The first is the enterprise multiple. That’s the company’s enterprise value (EV) divided by earnings before interest, tax, depreciation and amortization (EBITDA). We have a way to rank this and come up with a health score. We then take that score and average it with free cash flow. John: And free flowing cash is pretty self-explanatory. Jeff: More or less. We want a financially robust company that is growing. Because there is no other real reason for a stock to rise than for a company’s actual free movement of cash to grow. And, if a stock doesn’t get an A- or better, we move on. 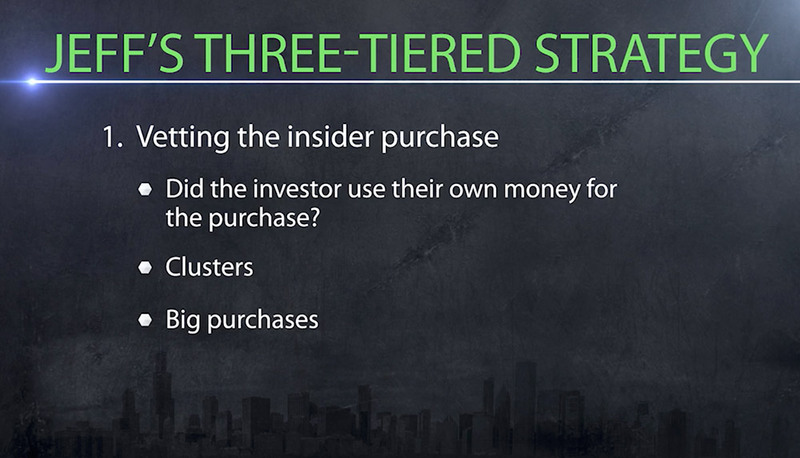 John: So we have tier one — vetted insider buying. We have tier two — financial stability. Jeff: Velocity. Velocity is how we know a stock won’t be a good trade one day — it’s how we know the stock is a good trade right now. To determine that, we look at Relative Strength Index (RSI) — RSI 9. John: I’ve heard of RSI. It’s a momentum indicator showing if the stock is moving fast. But what is the “nine”? Jeff: Most RSI calculations are based on 14 days of data. We only look at the last nine days. Again, we want stocks that are moving RIGHT NOW. John: We have a pretty thoroughly defined strategy here, Jeff. You’re looking at people on the inside of the company, putting their money on the line. You’re determining if the company is truly financially healthy. Then you’re calculating velocity using RSI 9 to determine if the company is poised for a move right now. Jeff: And it has worked like gangbusters, John. We’ve run this three-tier strategy through numerous back tests, with data dating all the way back to 2007 — just to make sure it would work during the market stress of a financial crisis. 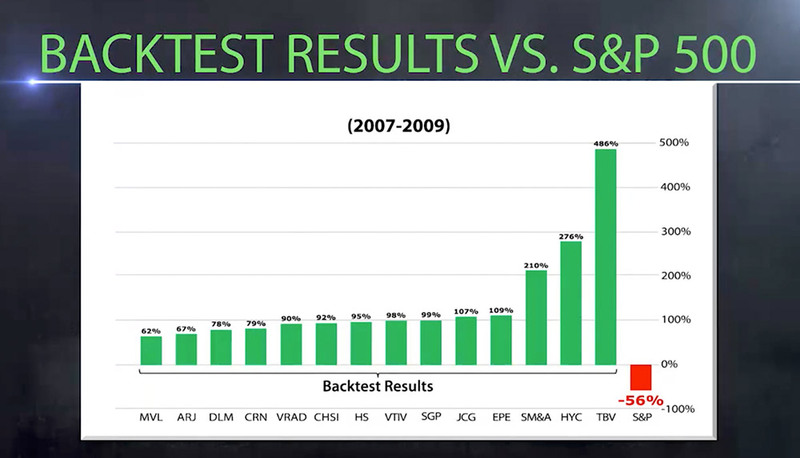 Our back test shows that between 2007 and 2009, as the market was racing to a bottom, this strategy could have delivered 14 winning investments. I want to repeat, John – these are some of the best plays from that era. There were definitely investments that went down – that happened across the board. But the potential returns you see here show what’s possible. 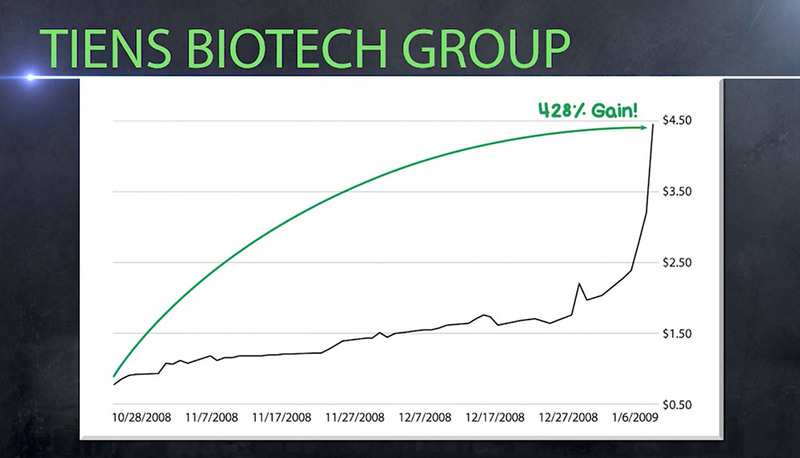 In particular, was this Tiens Biotech Group USA gain. 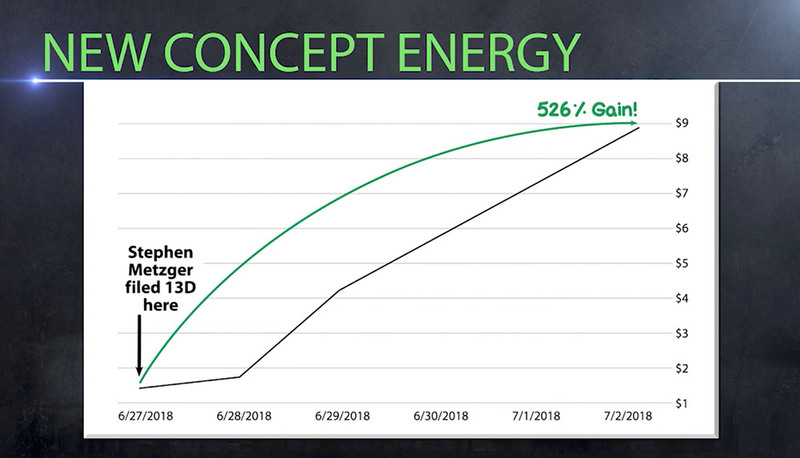 Right here, as the market was tearing to the bottom, Tiens was exploding — unleashing a gain of 428%, in a little over two months. And Tiens is just one example. There’s SM&A which jumped 210%. 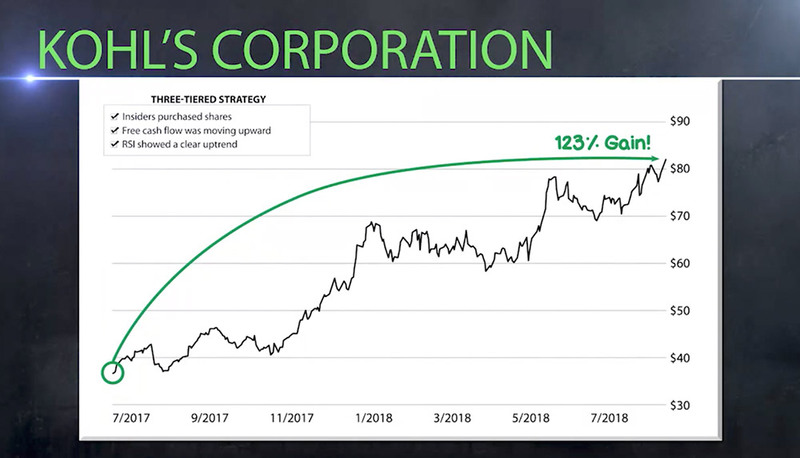 This three-tier strategy, even back then, could have pinpointed back-to-back double- and triple-digit winners, including Tiens, which would have quintupled every dollar invested. Jeff: Exactly. It makes money in all kinds of markets. Take a look at Kohl’s. Our back tests show using this strategy, we would have jumped on this trade July 10, 2017. Between January and June, five insiders had purchased fistfuls of shares. You can see the free cash flow consistently moving upward. You can see on this chart that the RSI shows a clear up trend. A gain of 123% on Kohl’s. I have dozens more I could show here — as I have throughout this broadcast. Like Shoe Carnival (Nasdaq: SCVL), which fit the strategy and promptly shot up 127%. Or Rocky Brands (Nasdaq: RCKY), which rose 151%. Or Hibbett Sports (Nasdaq: HIBB), which popped 166%. Those are quick snapshots of the gains our back tests say were possible just last year, John. But all of these trades are eclipsed by the one I’m eyeing right now. John: This is the trade you say could pop 1,500% in the months ahead? Jeff: If not more! It’s sitting on perhaps the easiest profit setup I’ve ever seen, because it is the hub of profit for dozens of the largest companies in the tech field. You see, this tiny company — with a market cap of around $140 million — is uniquely positioned. It owns shares in two gargantuan companies — one with a market cap of $32 billion, another with a cap of $10 billion — both of which have JUST had recent initial public offerings. Because this company deals in the business of startups, and with those two alone, it has secured a massive payoff. But things are heating up faster than expected, and everyone inside the company knows it. It’s why the CEO just purchased 50,000 shares. The founder and chairman has doubled his stake. And one director has just made a huge wager, purchasing 15,000 shares at market price. This is huge for a one specific reason: This director served as the CEO of none other than the Charles Schwab Corporation. Plus, he sat on the board of the tech giant, Intel. We’re talking someone who knows Silicon Valley and Wall Street inside and out — and now he has made his view of the future of this company very clear. But the thing is, John, it’s not the only major opportunity I have found using this strategy. 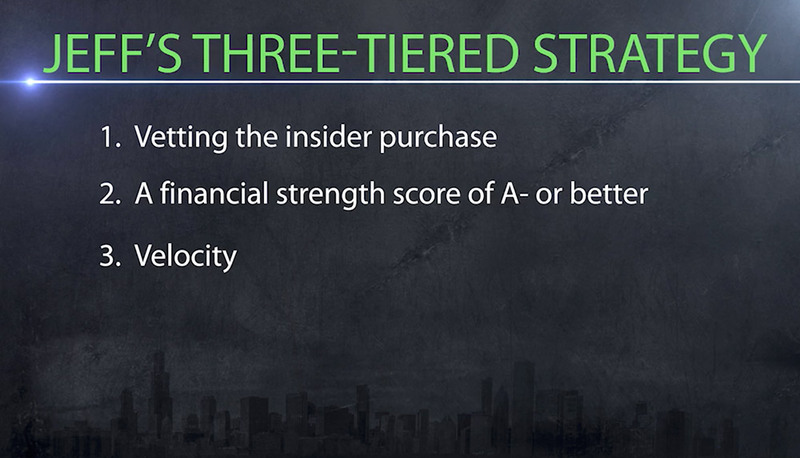 John: Are there other companies that your three-tier strategy recommends buying right now? Jeff; We have two more, gearing up right now to blaze across the charts — lighting a fire under the portfolio of anyone who gets into them, as soon as possible. One company is a uniquely positioned financial institution that recently just got the “greenlight” to make the largest deal of its career, thanks to the rollback of several regulations created by the Dodd-Frank Act. In one day, nine of the bank’s officers bought $5.6 million worth of shares. John: That’s huge. It hits multiple parts of your vetting process — with a large cluster of insiders putting down big money. And how about the third company? Jeff: The third company is one I’m really excited about. It’s an oil and gas company — with no oil or gas. Instead, this company negotiated a royalty agreement with dozens of companies, meaning they just sit back and get paid anytime the companies they are invested in make a profit. Right now, they have 574 agreements across 25 different states, capturing net profits across the board. The company is quietly raking in a fortune, and insiders are riding it high. In fact, since 2006, insiders have purchased over 500,000 shares . I am sure these companies have the potential to rocket upwards of 1,500% total ... or more. John: Jeff, these are some incredible opportunities. You’re talking about fundamentally amazing companies, but on top of that, you have insiders practically screaming that this is the perfect time to get in. These companies could easily rank with Nvidia, Natural Health Resources, Axogen, Weight Watchers or any of the other massive windfalls we’ve seen so far today. And why these others could easily double, triple, even quintuple or better in the months to come. 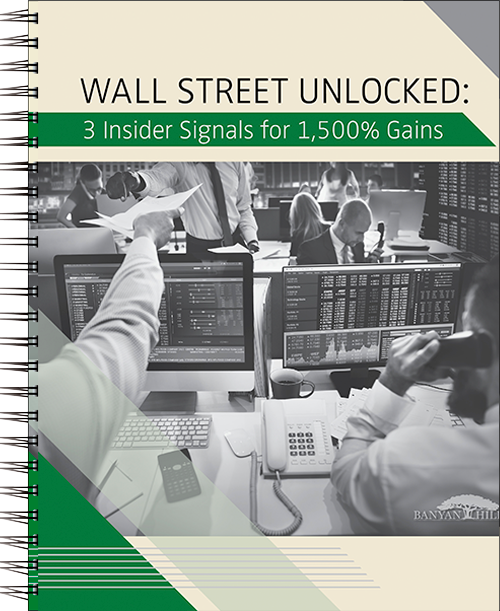 All the details are in my brand new investment dossier, Wall Street Unlocked: 3 Insider Signals for 1,500% Gains. John: And in a moment, I’m going to show our viewers how they can claim a free copy of this report. Jeff, this is truly incredible. This project has taken you and your team five years of boots-on-the-ground research, along with 25,000 hours of real time market data, studying government legislation and more. Jeff: It has. This has been a venture costing hundreds of thousands of dollars. And I could use my three-tiered strategy to make money hand over fist for myself. But that’s not why I started this. Frankly, I’ve made my own fortunes over the years, and now I want to help others make theirs. And John, this three-tiered strategy — it’s like nothing I’ve seen before. It’s easier in practice. And has the potential to deliver the largest gains, at the greatest speed, that I’ve ever come across. Where else could you see a 526% gain in six days without touching options or swinging for the fence on a speculative penny stock? Which is why I want to give all our viewers a copy of my new report, Wall Street Unlocked, that reveals three companies gearing up to soar 1,500%. But I want to go beyond that. I want to give them these opportunities on a weekly basis. Which is why I’m going to give our viewers today a risk-free membership to my new research service Insider Profit Trader. It’s through this service that I will give our viewers the best insider picks, moments after insiders buy, setting themselves up for multiple triple-digit wins, week in and week out. In fact, I’m so confident in this service, I’m guaranteeing that my strategy will give folks the chance to see a triple digit gain every 90 days for the next year. John: That’s astounding. Jeff, we’ve mentioned this promise a few times. 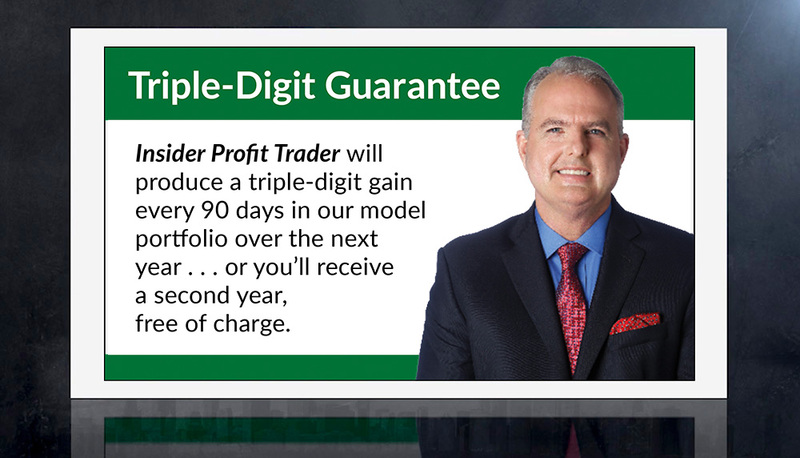 So to be clear, you are guaranteeing that your strategy in Insider Profit Trader will produce a triple digit gain every 90 days in the model portfolio over the next year. Period. Jeff: Yes. Frankly, it’s something I feel more than comfortable offering. When you consider insiders generated over 100,000% in total winning gains over the last year, you can see this is really just a drop in the bucket. John: Well Jeff, we’ve seen what your research has found, and the potential here is breathtaking. Jeff: There are really no words to express how thrilled I am by our 3-tier strategy. John: Results like these are what give me the confidence in you, Jeff. It really shows just how achievable your promise to secure a triple digit gain every 90 days truly is. Jeff: I’m taking this project very seriously. I’ve already invested years of research perfecting my three-tiered strategy. But to make sure — to give me absolute confidence in hitting this 90-day triple digit gain — I went a step above and beyond. I sought out the No.1 expert on insider trading. His name is Brian Christopher. John: Can you tell us a bit about Brian. Having Brian on the team is like having Warren Buffett on speed dial. He has spent a good portion of his career as a turnaround consultant. His job was to analyze struggling companies and even cities, to help them turn around and prosper. And it has given him deep insights into how companies work. 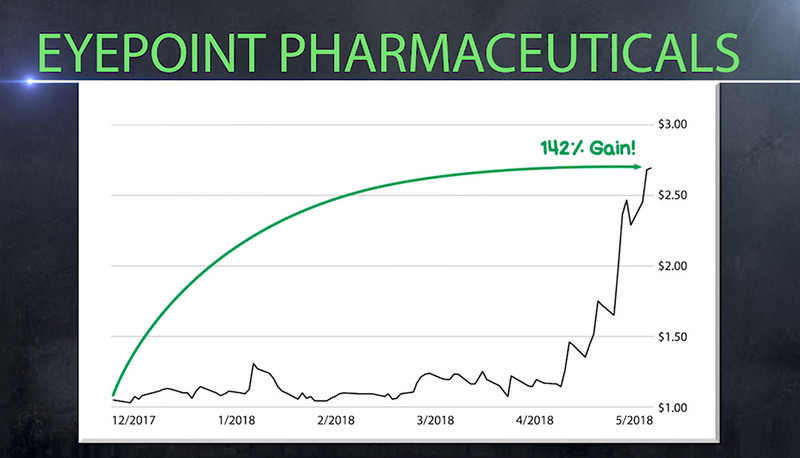 He has personally seen gains of 142% on Eyepoint Pharmaceuticals. 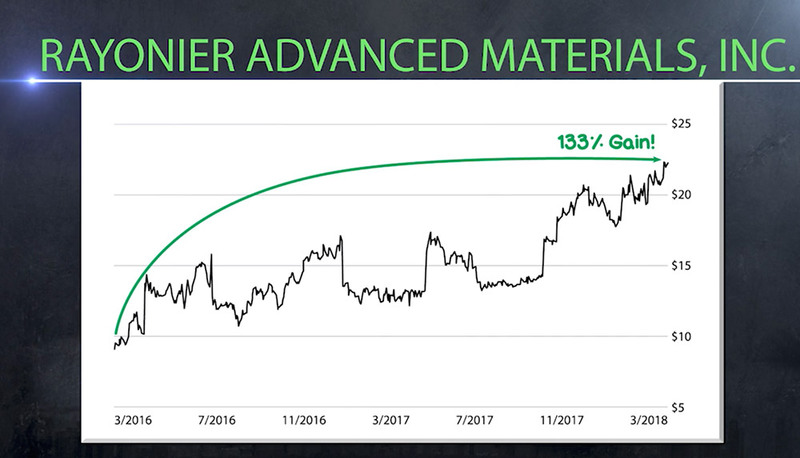 A 133% gain on Rayonier Advanced Materials. A 158% gain on United Insurance Holdings. A 200% on U.S. Global Investors. Not to mention he was among the very small group of investors who foresaw the 2008 crisis and profited by skillfully shorting CitiBank and other financial institutions. And more recently, he’s been seeing double- and even triple-digit gains with investments in Facebook, Cisco, Twilio, and True Gold Mining. My point is, Brian is a skilled and capable investor in his own right — with years of experience around elite financial insiders. John: And now he leads the Insider Profit Trader team, working full-time on this project. Jeff: I hired Brian to work with me and the team to select every trade. He spends every single day doing nothing but monitoring developments with the Insider Profit Trader model portfolio. Using our three-tiered strategy, Brian and my team spend a combined 800 hours vetting the best picks every month. John: How many trades are they coming up with per month? Jeff: We typically come up with one, maybe two picks a month. John: I thought there would be more. 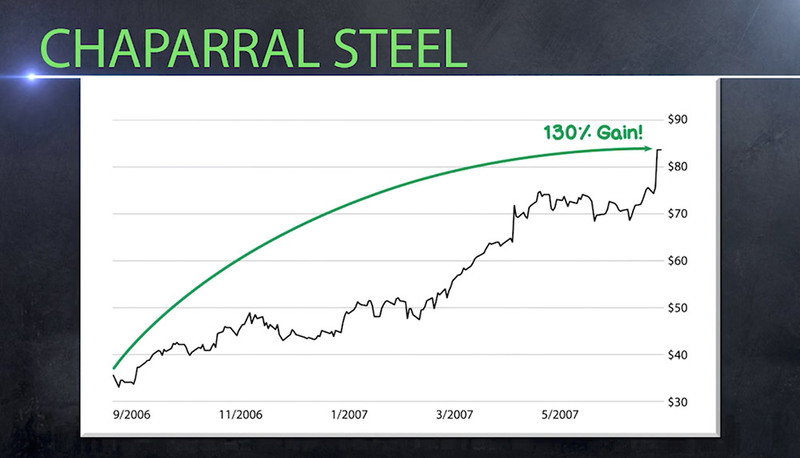 Jeff: There are about 500 trades that come across our desk every month. But remember, we only want the best trade opportunities. 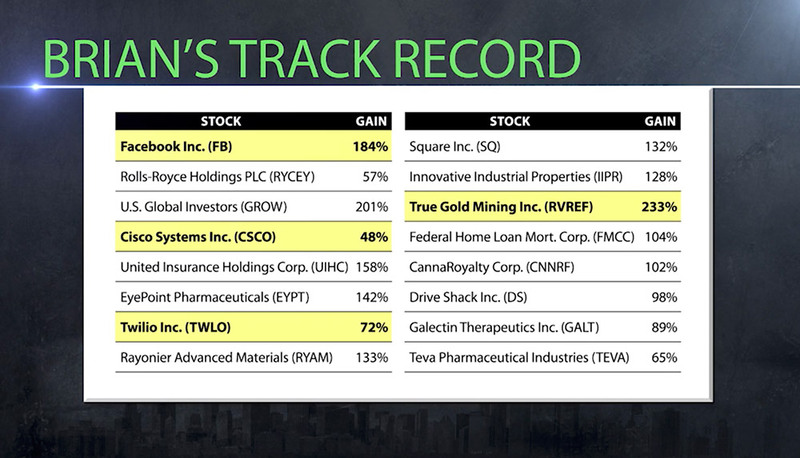 The stocks that are primed to move 100% or more within weeks. And we want to be 100% certain that each trade has the best chance at being profitable. 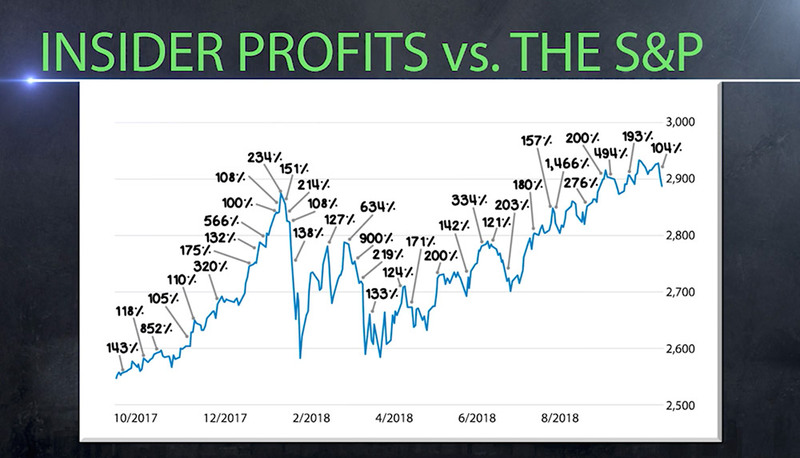 John: And as these trades stack up the Insider Profit Trader model portfolio will produce trip digit gains every 90 days. Jeff: It could be higher. It could be 500% or more. We have several exciting trades sitting in the model portfolio, gathering steam as we speak. That said, this isn’t the kind of thing to bet the farm on. All investing carries risk. John: Well, as we’ve seen, it’s more than possible. You guys are already on track to deliver precisely what you set out to do. Jeff: Exactly. Now, I’m going to be upfront about something. My team and I work really hard researching these investments. 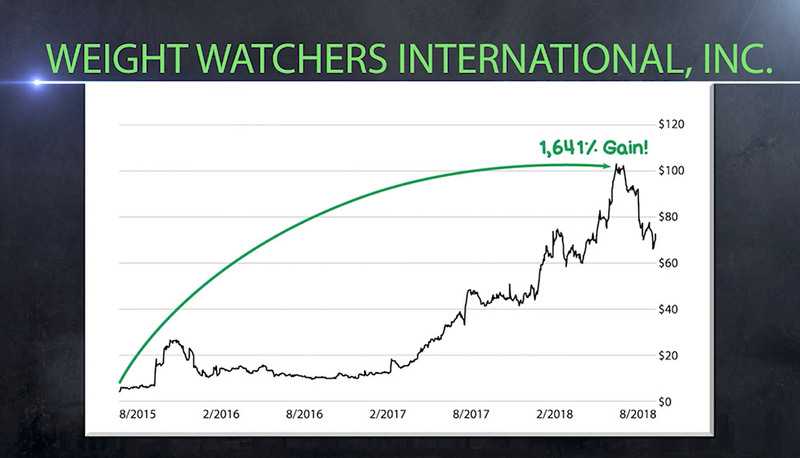 Again, I even hired Brian Christopher — an accomplished investor in his own right — as a full-time analyst, devoted entirely to leading this service. And because I’m sharing so many of the secrets I’ve discovered during my career, I have one hard rule. When someone joins my Insider Profit Trader research service today, I’m giving them an incredibly great price, but … they need to commit to it. So, there are no refunds. John: Well, I wouldn’t expect anything less. Fact is, when people join, they will gain access to all your research, including a weekly breakdown of a strategy you’ve done over a decade of research on and vigorous testing. Jeff: Exactly. And I’m happy to give this research to everyone. But unfortunately, I’ve seen some people take advantage of me and my research firm’s generosity in the past. I have to protect the integrity of my research, especially for people who come in with the right mindset to really put in the effort and follow my research. That’s why all sales are final. John: I see this has a benefit. It means that when someone signs up for Insider Profit Trader, they’ll have the security of knowing ONLY fully committed, paid members will see your investment selections. Only folks serious about learning your strategy and insights. And that’s imperative, because the time and research you put into each of these trades is immeasurable. Jeff: John, I can’t even put a price tag on this stuff. John: Well, the closest someone can get to this type of access — this stream of under-the-radar opportunities — would be hedge funds. 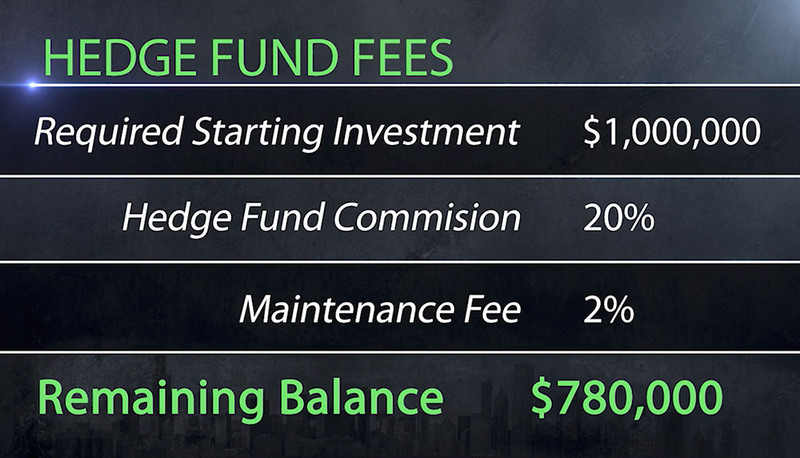 Many hedge funds require at least $1 million to get started investing with them. Then, to top that off, they take 20% of your profits and a 2% maintenance fee. So realistically, it could cost tens of thousands — even hundreds of thousands — to use anything even remotely close to this Insider Profit Trader service. Jeff: At least. And of course, you don’t need $1 million to follow my insight. I didn’t create this service to gouge people out of every dollar. I made this for any curious person who wants to have the tools to better control their wealth. John: Which is why you’re making this triple digit gain every 90 days promise? Jeff: I believe in total accountability. If it’s not results driven, it doesn’t work for me. And that’s how I want members of Insider Profit Trader to view their membership: results first. 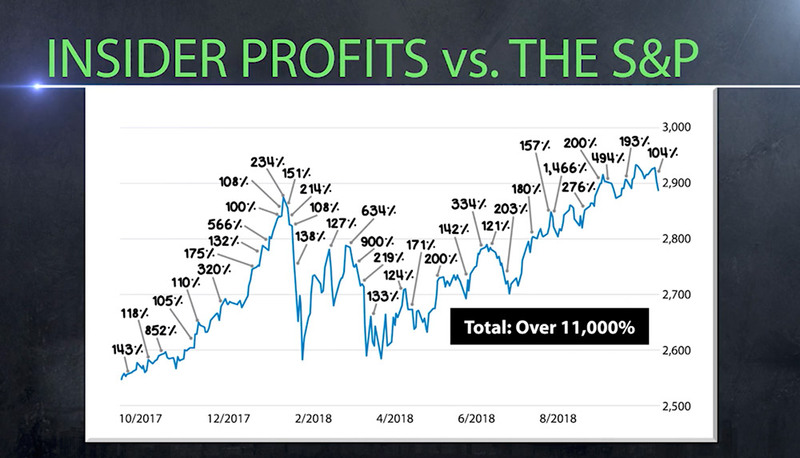 Hence, I’m making a very straightforward guarantee: My research service Insider Profit Trader will produce a triple digit gain every 90 days in our model portfolio over the next year….If it doesn’t, then I’ll work an entire second year for them, free of charge. John: So if your model portfolio sees a gain of 800% in 91 days … they’ll get a second year, absolutely free? Jeff: Exactly. All they have to do is call and let me know, and they’ll get access to all my resources and all my recommendations for another year. At no cost. They’ll have me, hunting down the absolute best trades for the chance to make rapid triple-digit gains, for another 12 months. Free of charge. John: Of course, I just can’t see how you won’t find a triple every 90 days. You’ve already shown us proof of the potential gains straight ahead. And it doesn’t include the many other opportunities you’ve shared during this broadcast that your back test has uncovered. Jeff: John, here’s a fact many of our viewers might appreciate. Between 2017 and 2018, our back test saw 100,000% in total winning gains … all told. That’s why our guarantee is truly not outrageous — it’s a bite-sized chunk of the massive feast insiders are having right now. John: I’ve never seen anything like it before. 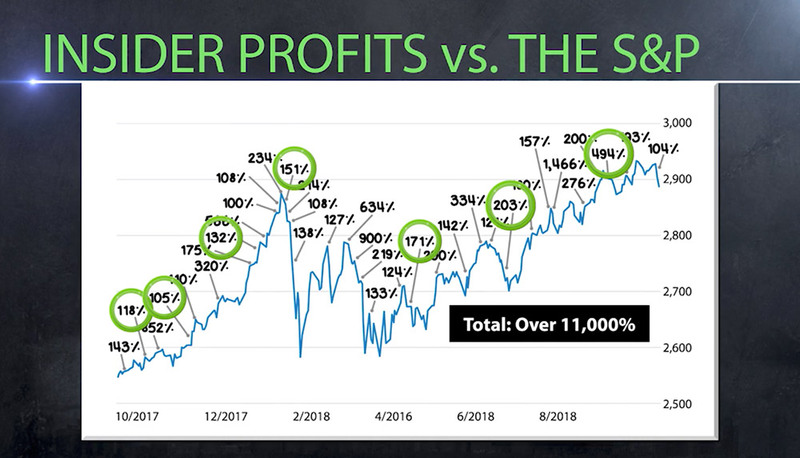 If this is the kind of winning potential members of Insider Profit Trader can expect, I can’t believe anyone would turn this invitation down — especially with an unbeatable guarantee to generate a triple digit gain every 90 days over the next year. But there is a catch — membership to Insider Profit Trader is extremely limited. Only 800 people will be able to join you as premiere charter members today. And considering we have over 20,000 people signed up to watch this event, we’re talking less than 5% will be able to sign up today and access this research. Jeff: Again, I want to limit the membership spots to serious folks only. I’ve built this for people who are eager to grow their wealth. John: So, let’s get back to what these 800 elite members will be able to expect, if they are fortunate enough to snag one of those spots today. Jeff: Well, first they will get immediate access to my recently published report, Wall Street Unlocked: 3 Insider Signals for 1,500% Gains. This lays out the exact methodology of this strategy, how it works and essentially functions to make sure every member hits the ground running from day one. 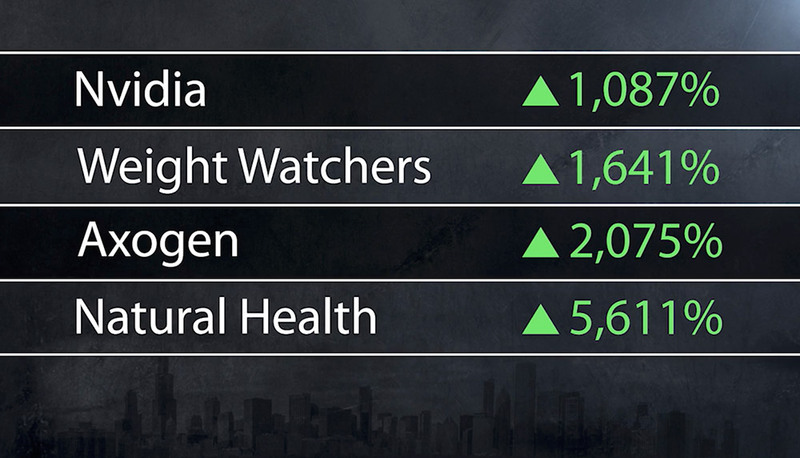 And of course, details on the three stocks that they can buy TODAY for their chance to make 1,500% gains. More importantly, they are locking in the chance at as many as 24 winning trades over the next year. Every month, we will issue one to two trade alerts. Each alert simply tells them what investment we’re looking at, the insiders who are buying, how the trade fits our strategy and more. And when it is time to sell, we will notify them — by both email and, if they would like, text message. The trade alerts will also give more information for those who like the details. More than likely, it’ll be a quick notification to take a portion of their profits off the table, if one of our investment picks soar to incredible highs — like 113%, 494% and even 5,875%. There’s also the 52 weekly updates. These will be a bit longer. Consider them a way for us to touch base every week and look at where the market stands — how the model portfolio’s doing. John: And you’re guaranteeing all of this will result in a triple digit gain every 90 days, in the model portfolio over the next year. Jeff: Now like I’ve said, no one has a crystal ball to the markets. But with all our research — every detail we’ve fine-tuned and perfected to make this strategy as accurate as possible — I truly believe this has the potential we’re looking at. And I’m willing to guarantee it. I mean, we’ve already seen how regularly triple-digit gains occur when you follow insiders. 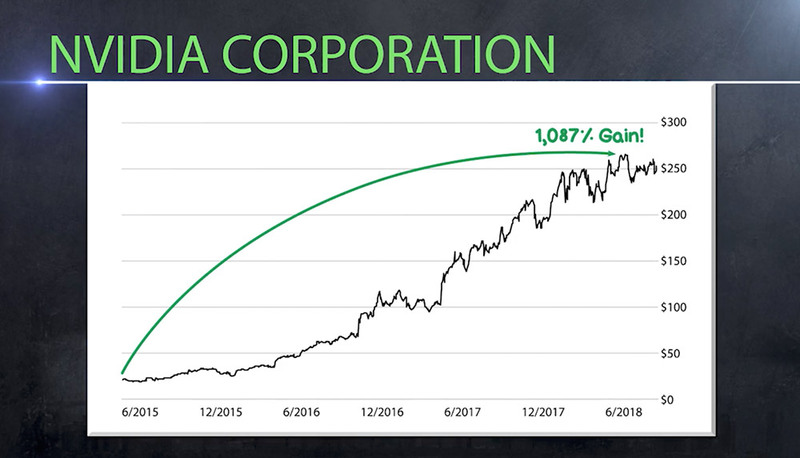 Remember, insiders saw enough triple-digit gains in 2018 alone to generate over 11,000% in total winning returns. John: Now, these are incredible. And from what I can tell, your Insider Profit Trader research service is extremely simple for our viewers to use. Jeff: It is. I would estimate it takes no more than 15 minute a week to use. And when you are making money as fast as we are — it’s not work, it’s fun! John: Jeff, thank you so much for your time today. It has been truly enlightening. Jeff: My pleasure, John. Thanks for hosting this event. You’ve just heard from one of the most respected Main Street advocates — a man who has dedicated nearly 30 years to sharing every elite financial secret he discovers, with folks like you. 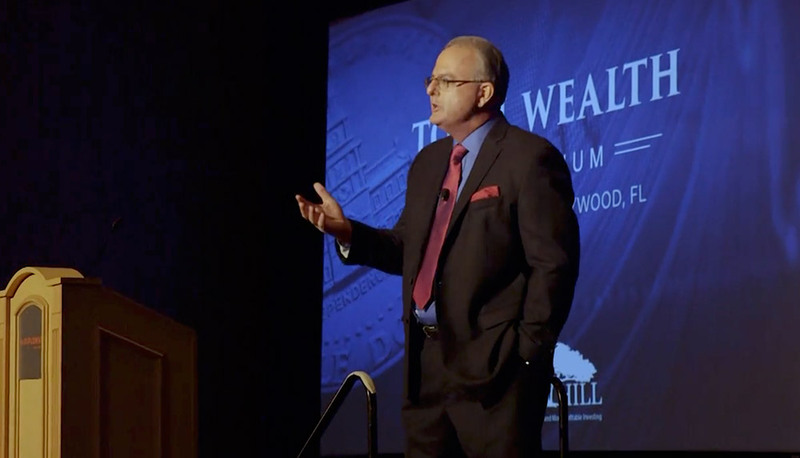 And one of the only experts to openly share his findings, his research and all his tools and tactics for achieving extraordinary wealth, starting with even a small amount of capital. Today, you have the opportunity to take the next step. As one of the few invited to attend this historic summit, you are now presented a truly life-changing opportunity. 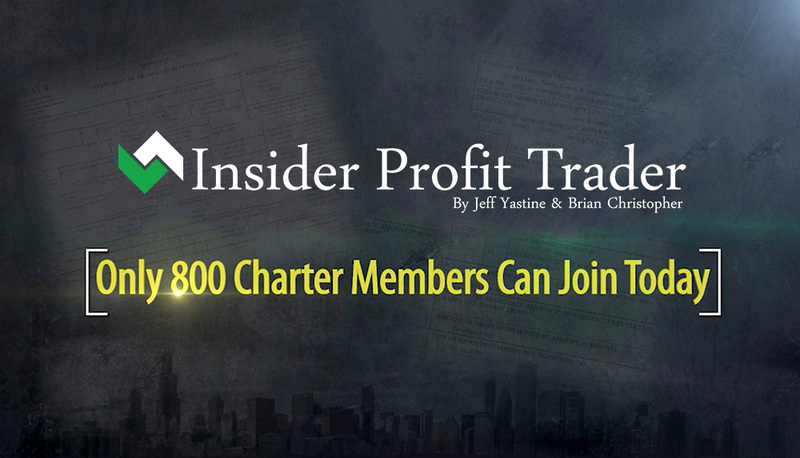 Because you can be among the limited 800 people to start a charter membership to Jeff Yastine’s recently launched VIP research service, Insider Profit Trader. 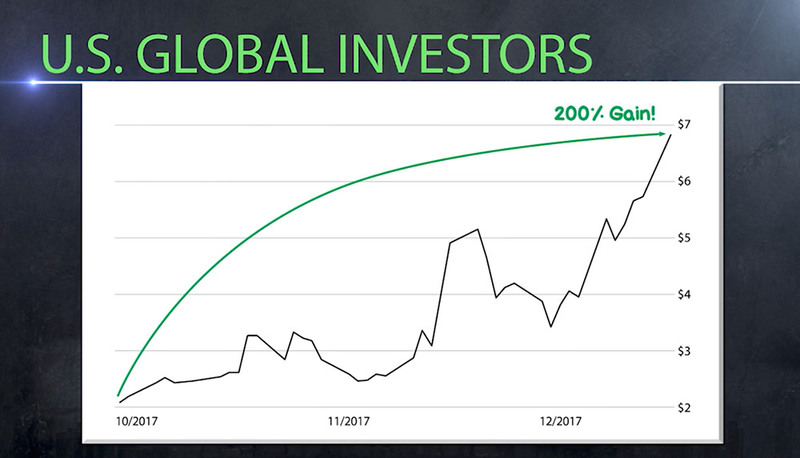 Every month, Jeff and his team will marshal his impressive resources, comb through the flood of insider data crossing his desk and select the best investments to shares with readers like you — the ones which could result in you adding a triple digit gain to your wealth over the next year every 90 days. He will use his proprietary three-tiered strategy to find the companies best positioned to soar. Jeff could easily charge tens of thousands, even hundreds of thousands, for this type of research. Some people gladly pay everyday to invest with poorly performing hedge funds around the world. But that’s nowhere near the cost today. Because it’s not $100,000 a year. 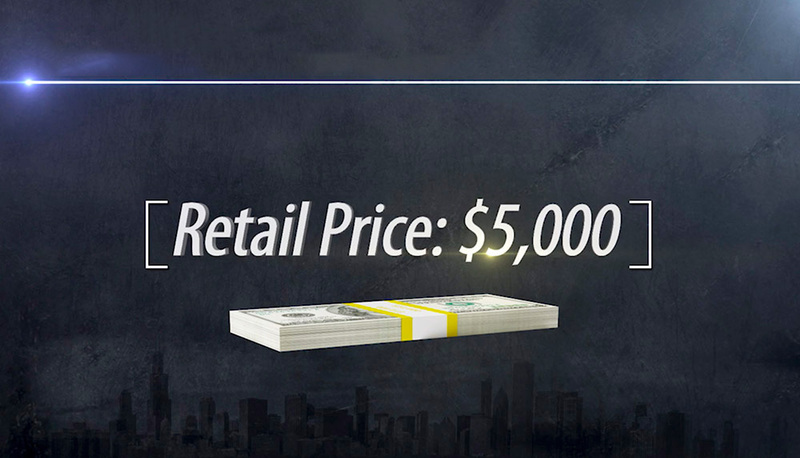 The retail price for Insider Profit Trader is $5,000 per year. But you’re not even going to pay that today. Because as part of this special broadcast — this being the very first time Jeff has ever presented this service — he has negotiated a special charter membership for the first 800 people who respond today. He wants to celebrate big gains with you. 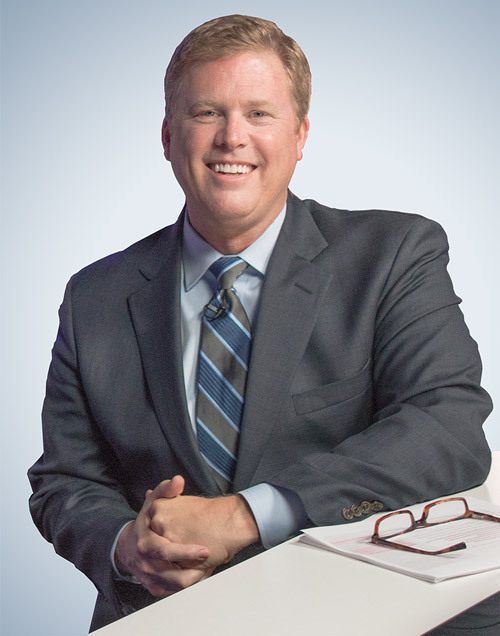 He wants to hear from you about how these investments have changed your financial destiny and that of your children, as well as grandchildren. It’s not only possible, it’s easily achievable with the right trades. 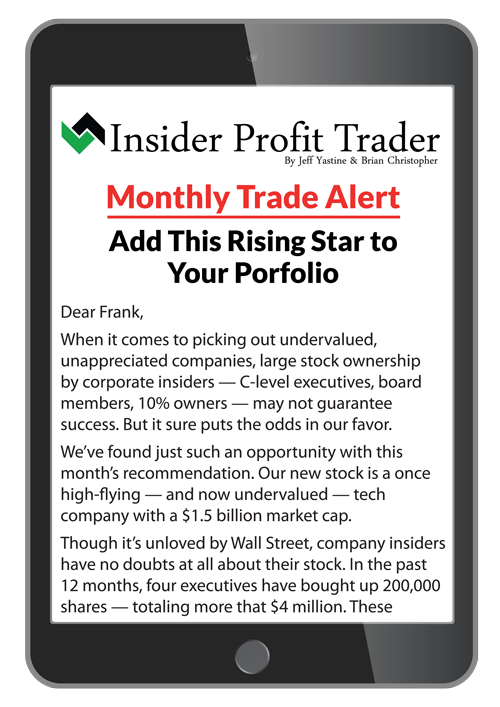 You get access to Insider Profit Trader today for just $2,995 — a 40% discount from the already low retail price. And we only have 800 of these spots open today, spots I’m sure will be vanishing quickly. Especially because of the massive guarantee Jeff has just made. Over the next 12 months the Insider Profit Trader will show folks a triple digit gain in the model portfolio every 90 days. If it doesn’t, then he’ll work an entire second year for you, free of charge. Meaning if a triple digit gain is found on day 91 you’re still entitled to a second year, free of charge. As you can imagine, this guarantee is an enormous financial commitment. Most people would think Jeff’s taking on an insane level of risk. But his research speaks for itself. And while losses do occur, the winners can be massive. 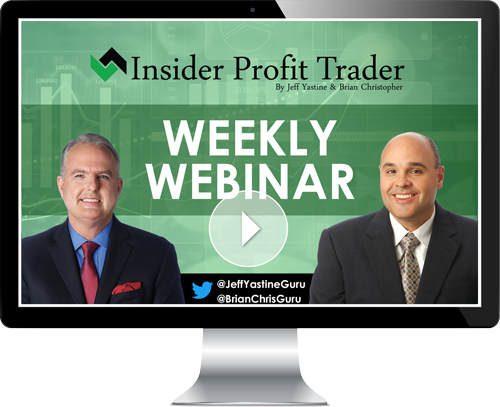 Up to 24 trades a year: Jeff and Brian will send you one to two trades a month along with write-ups on the stocks they are recommending. This is real “boots on the ground,” pencil in hand, data-crunching work. They will even call on their network of industry experts to feel out where the company stands among its peers while harnessing cutting-edge analysis technology. Weekly updates: Each week, Jeff and his team put together a detailed market analysis. After all, it’s important to understand what’s happening in the political sphere, the economic world and the market. Jeff has learned to identify how these three impact each other — and how to insulate your investments against them. This compact, detailed guide will be your secret to hitting the ground running. It will be available the moment you become a member, explaining exactly how the three-tiered strategy works, how it was created, the best way to harness the service and more. Jeff and Brian have just put the finishing touches on this info-packed report. In these pages, they explain their exact methodology, and the three investments insiders are screaming to buy right now. Each investment is primed to soar 1,500%. 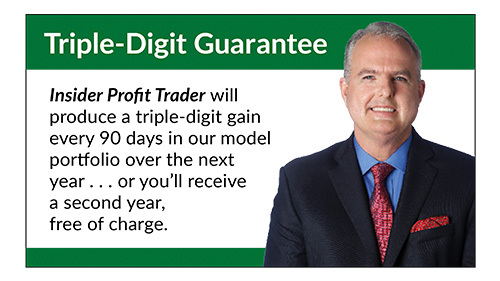 Over the next year, Insider Profit Trader will give you the chance to see a triple digit gain every 90 days. If not, let us know, and you’ll get a second year free of charge. 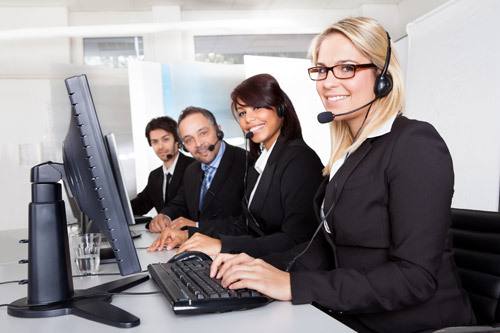 You’ll receive a confidential number, giving you direct access to our highly trained and specialized client care team. These are men and women we’ve worked with specifically to help you with any issues regarding your Insider Profit Trader subscription. 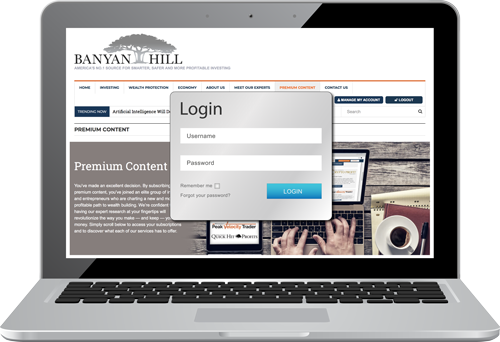 You’ll have an exclusive login and password to our encrypted website, where you can access every report, every special weekly alert, the entire model portfolio and more. 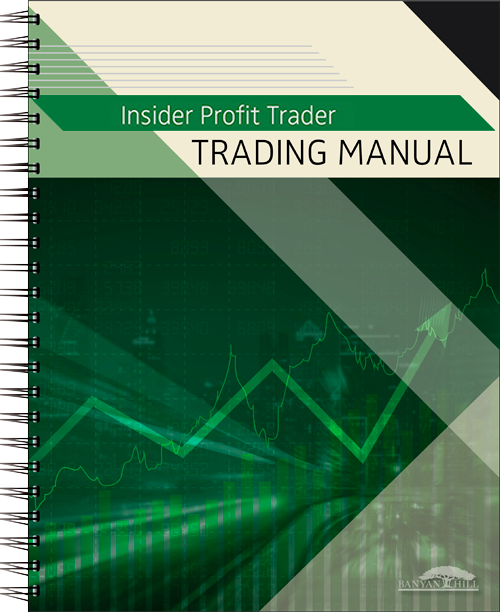 Anything ever published for Insider Profit Trader members will be available to you here, anytime you want to access it. As you can see, the Insider Profit Trader is the real deal. It gives you an incredible opportunity to follow insiders who have seen these types of gains. 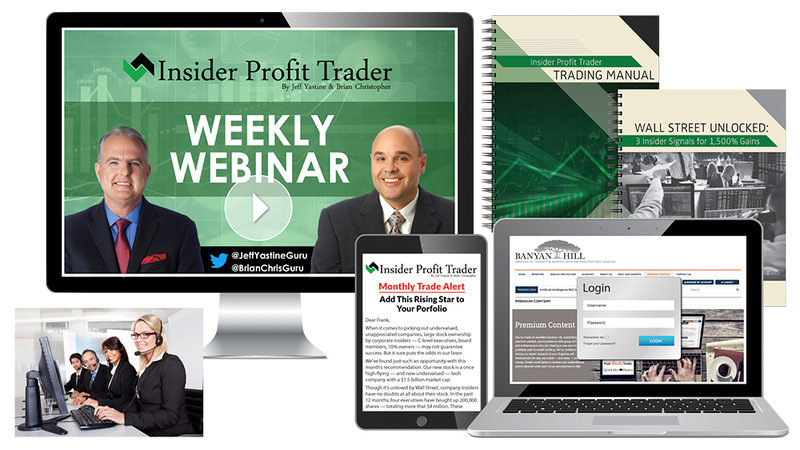 To see all the details on how to join Insider Profit Trader, simply click the orange button below this video. This offer is limited to the first 800 people who respond today. Simply click the button below to review all the details. I’m John Wilkinson. Thank you for watching this broadcast.